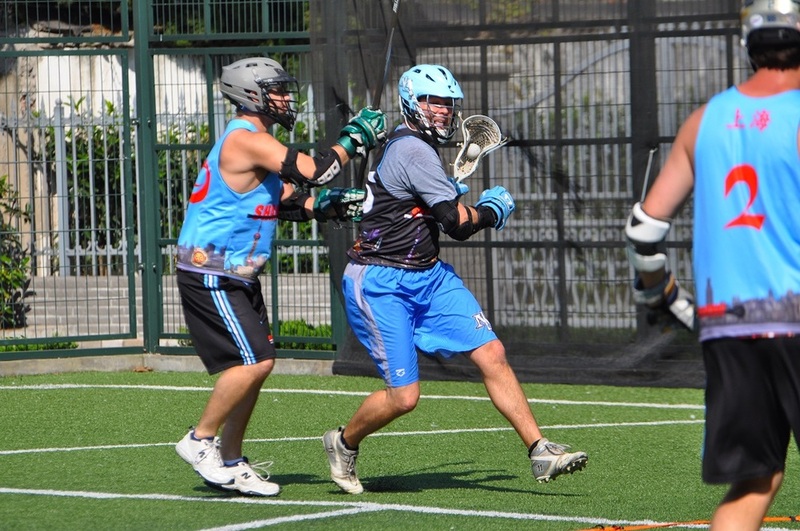 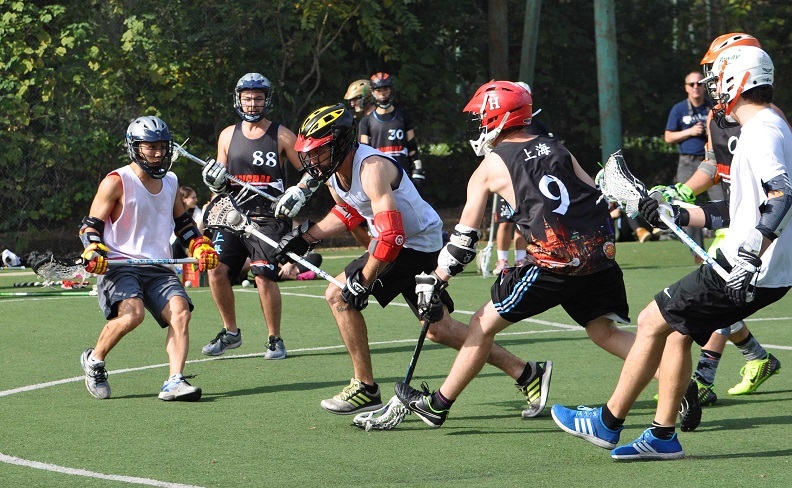 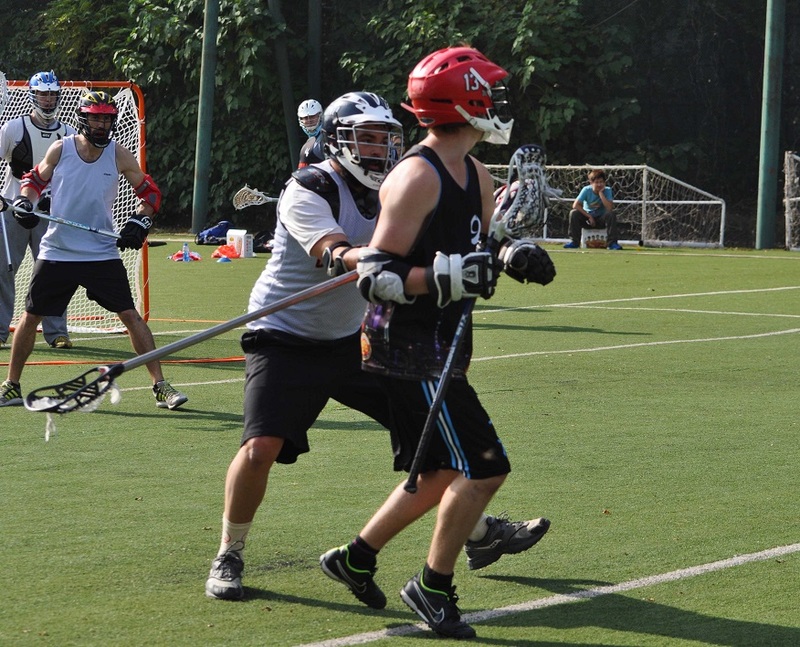 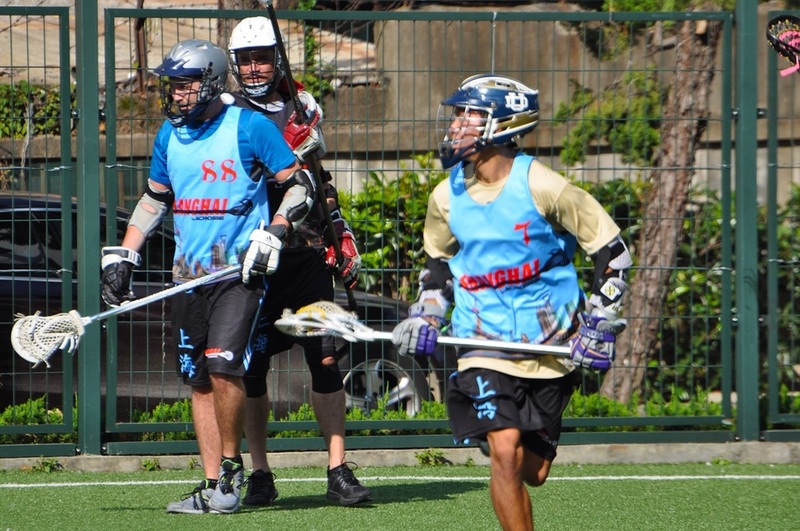 The Laxedos and the Lumberlax fought for victory in the first game of the season. 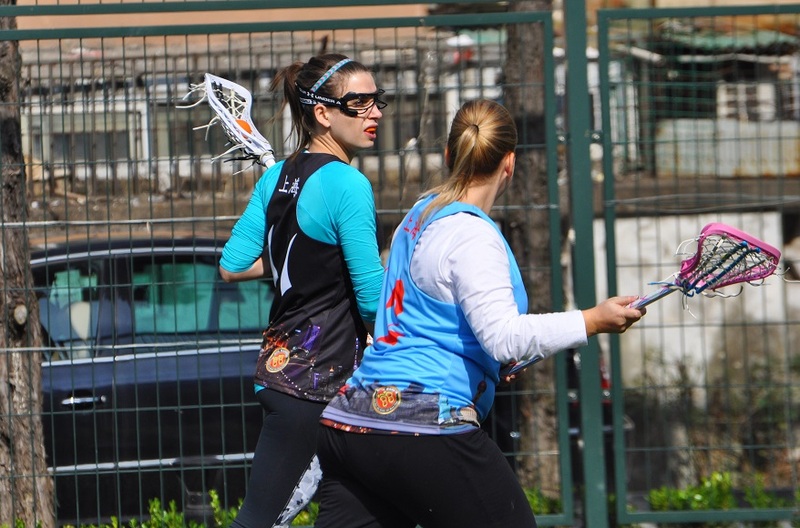 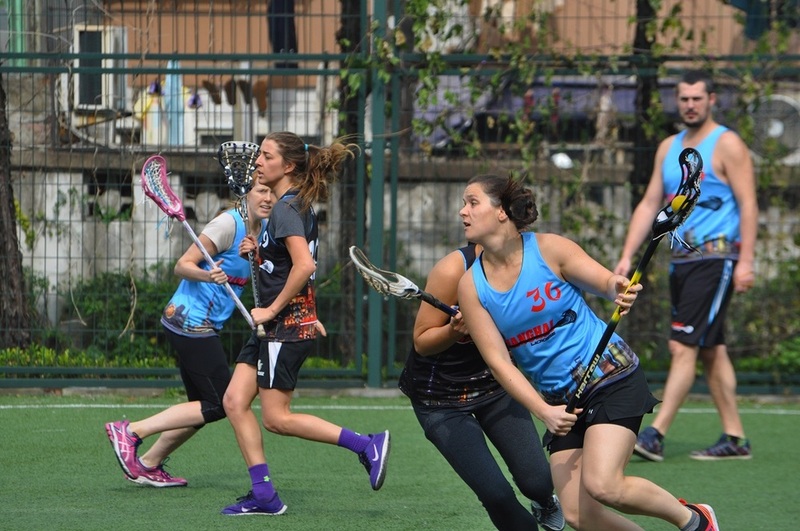 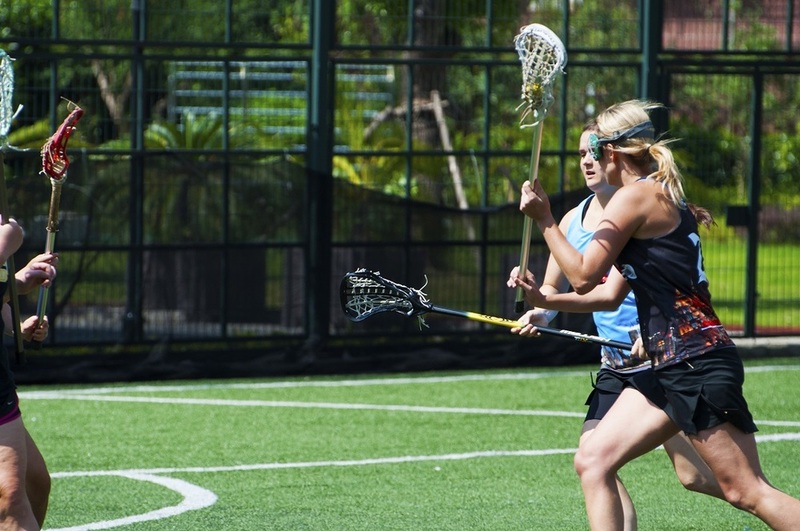 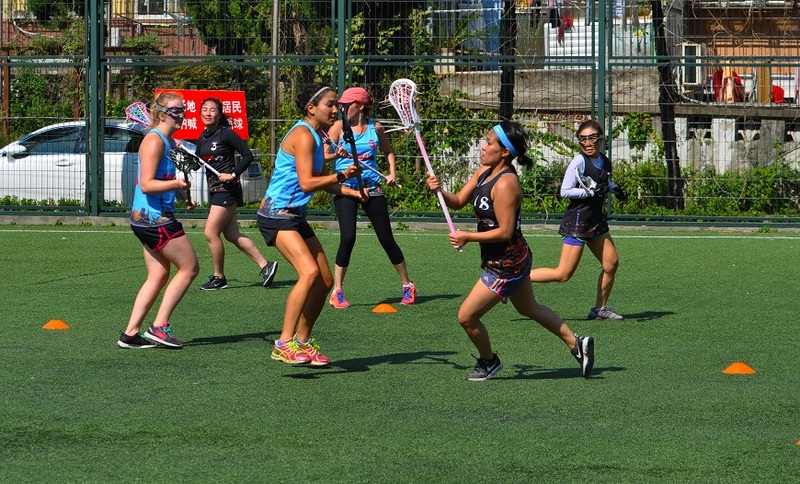 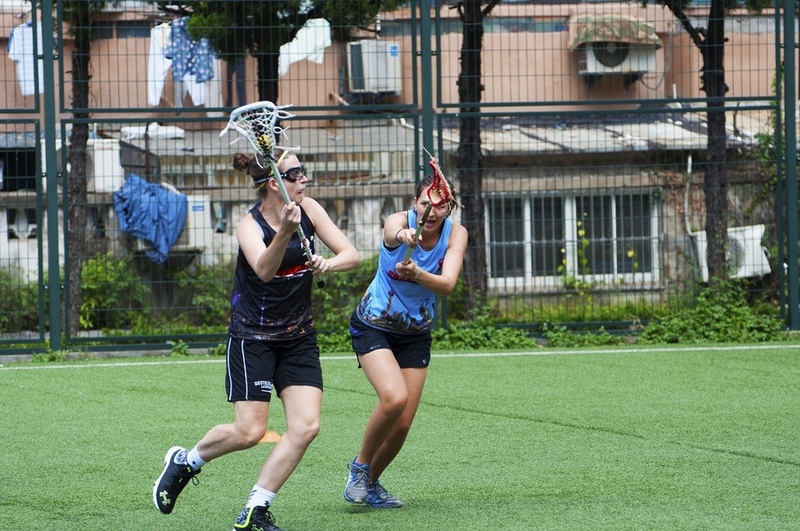 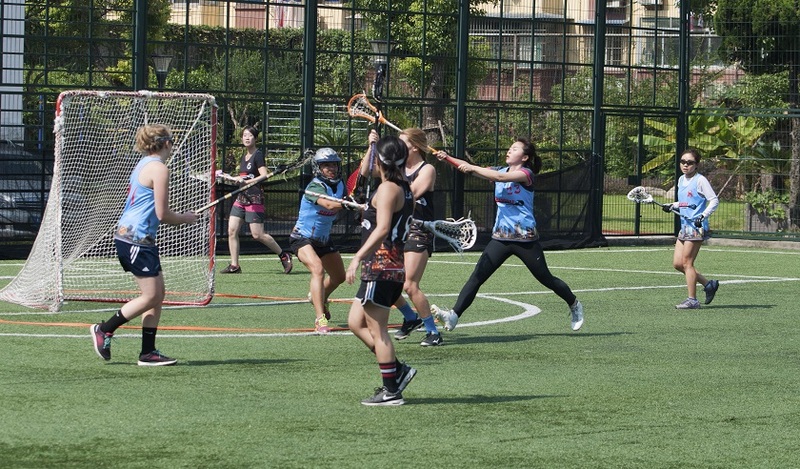 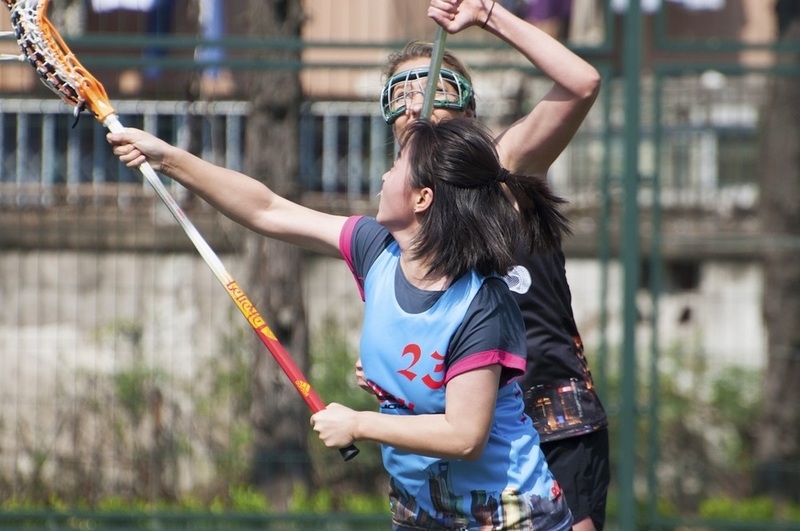 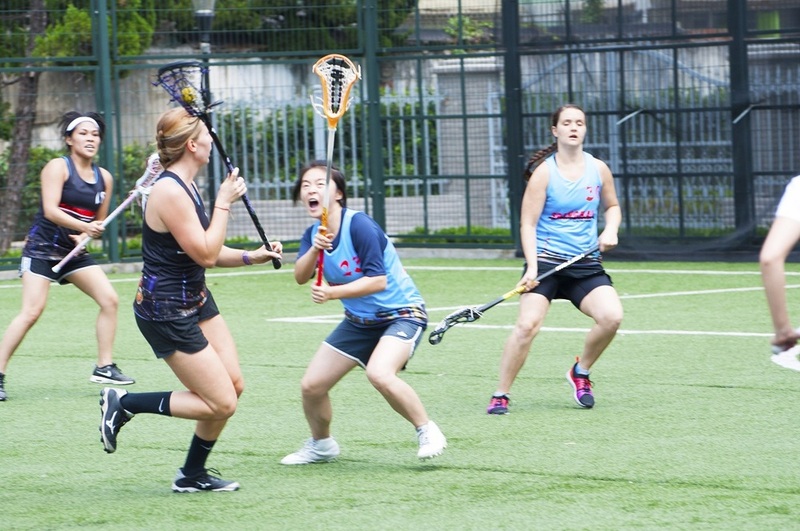 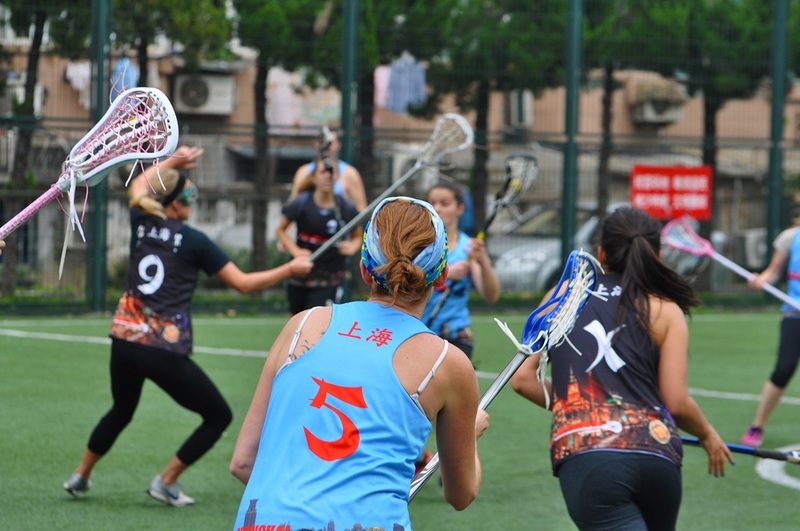 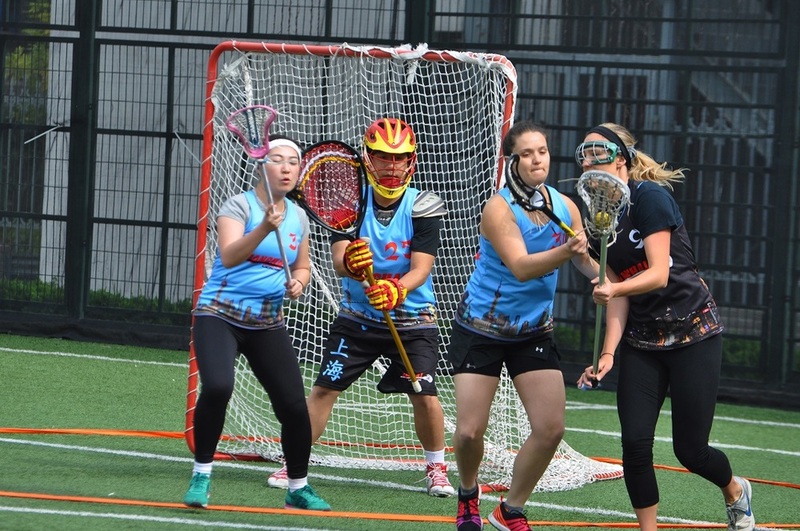 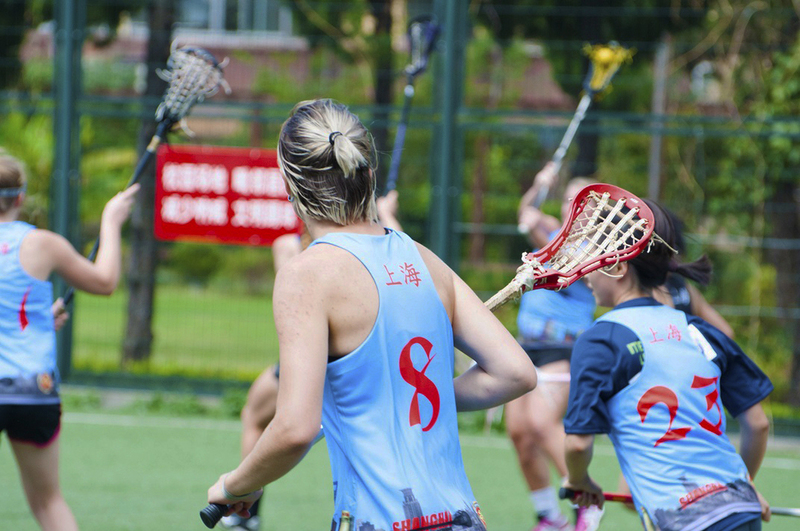 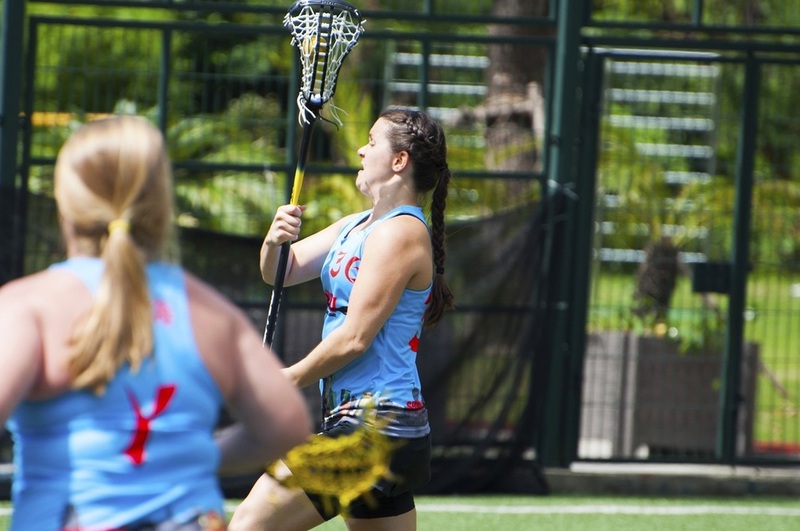 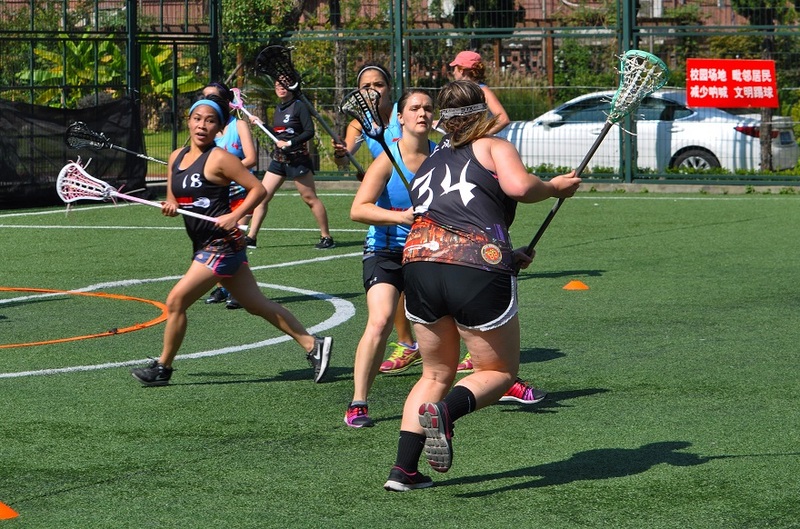 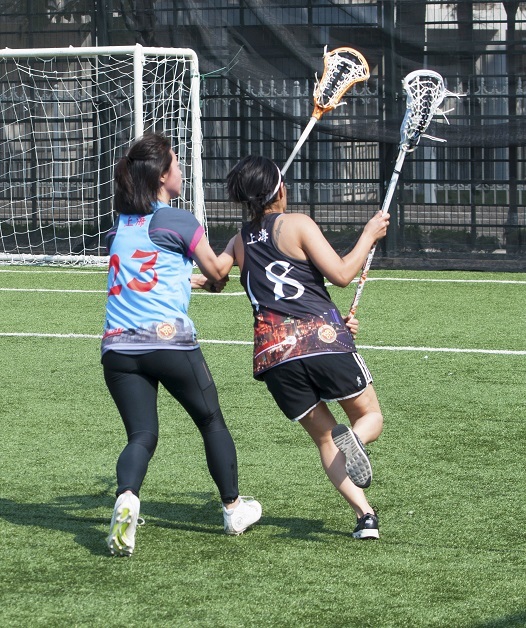 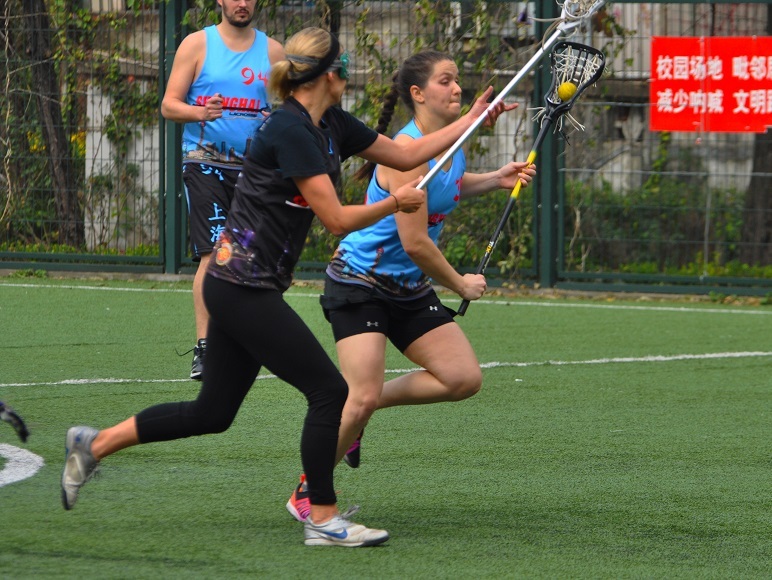 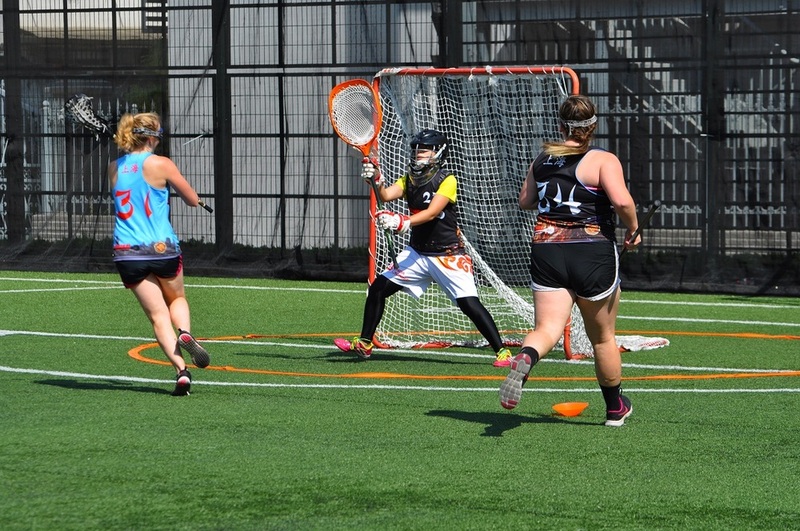 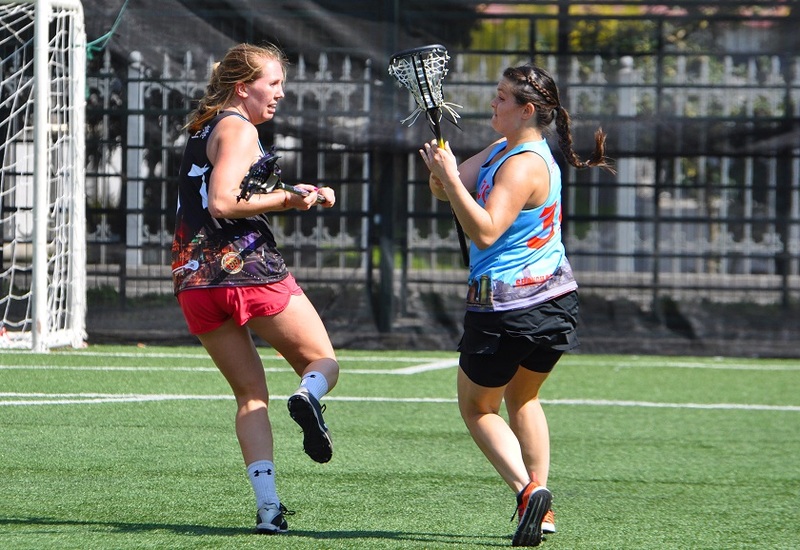 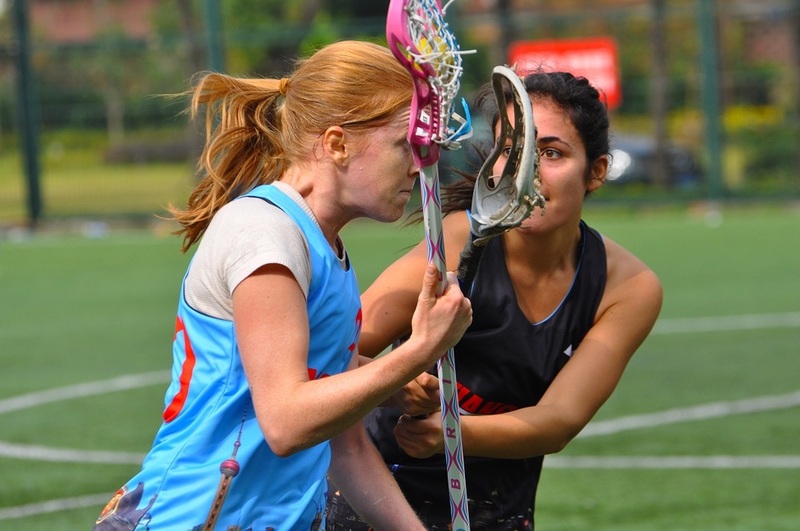 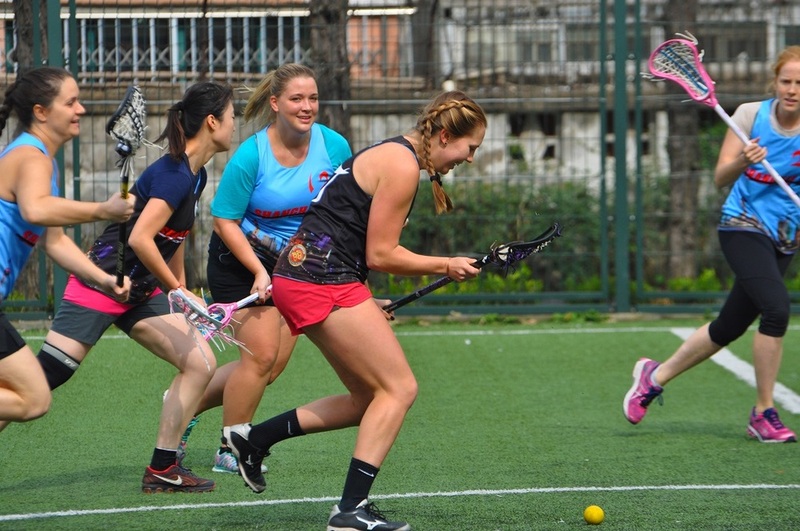 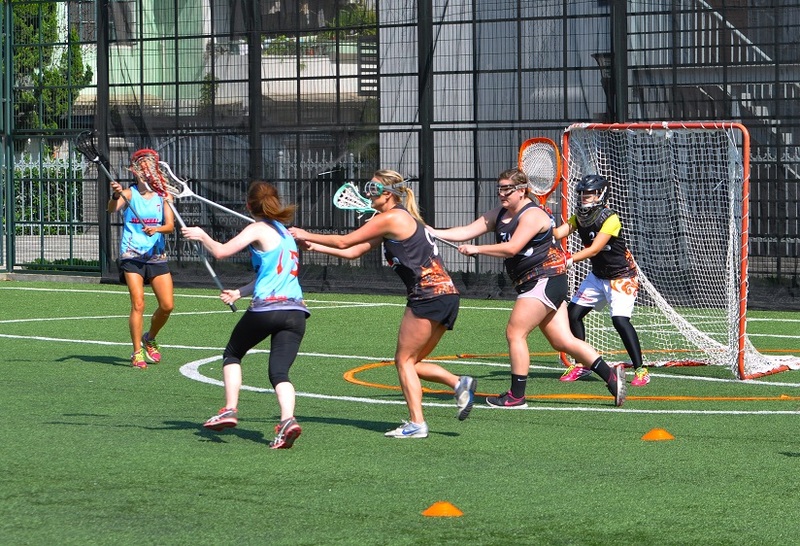 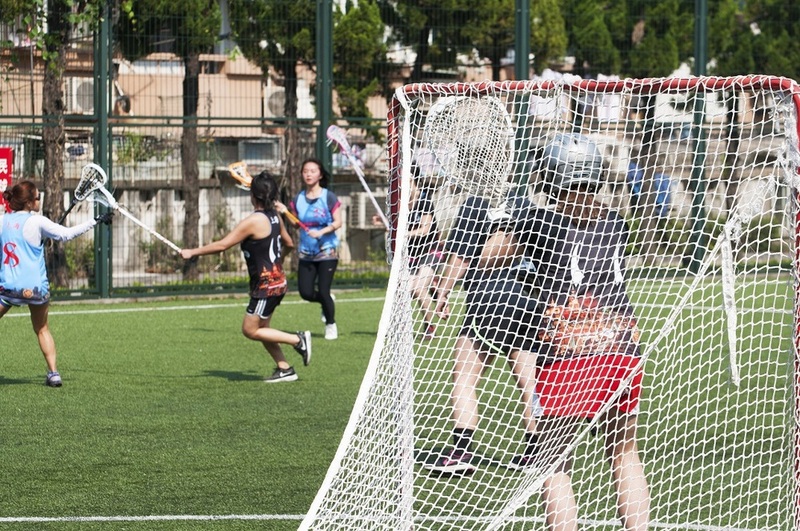 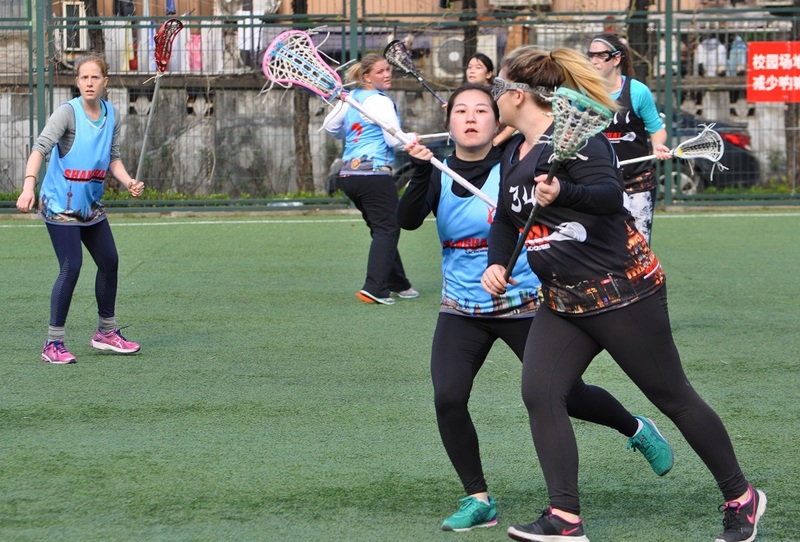 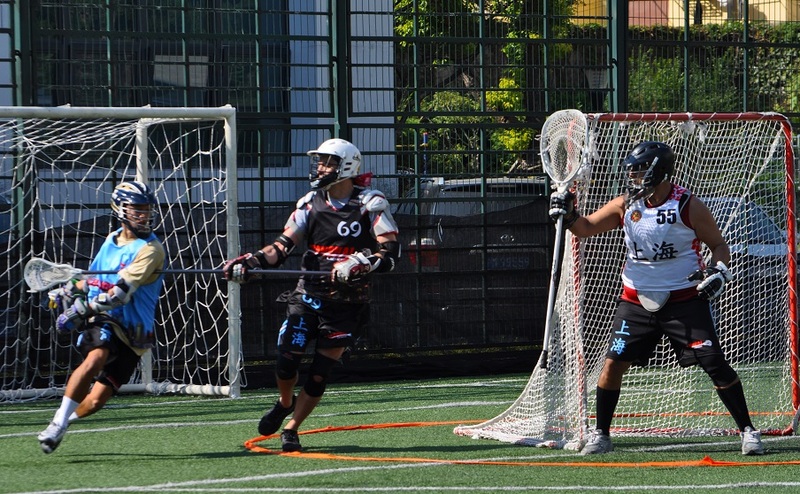 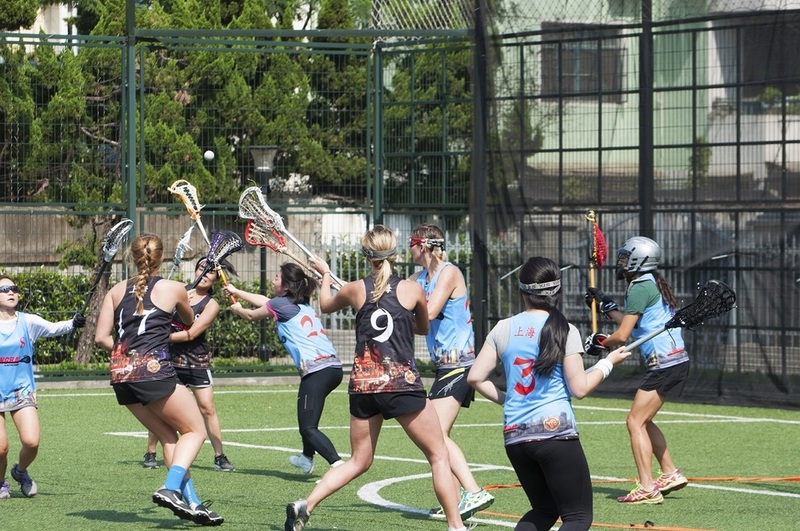 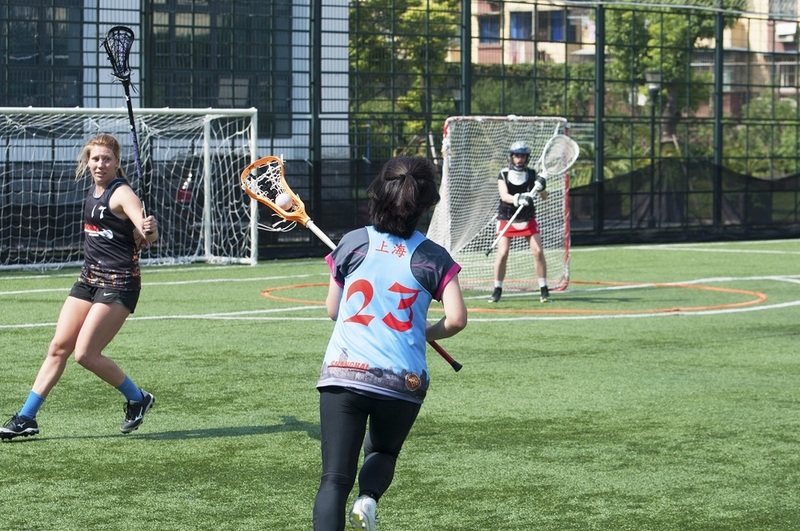 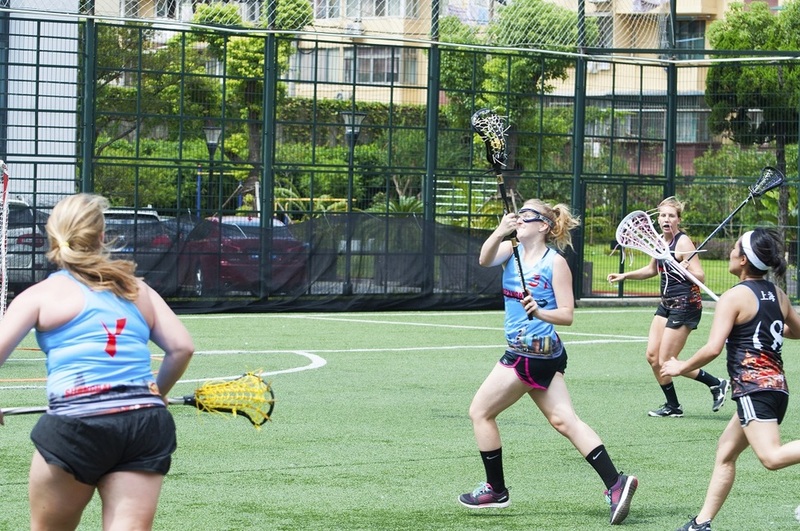 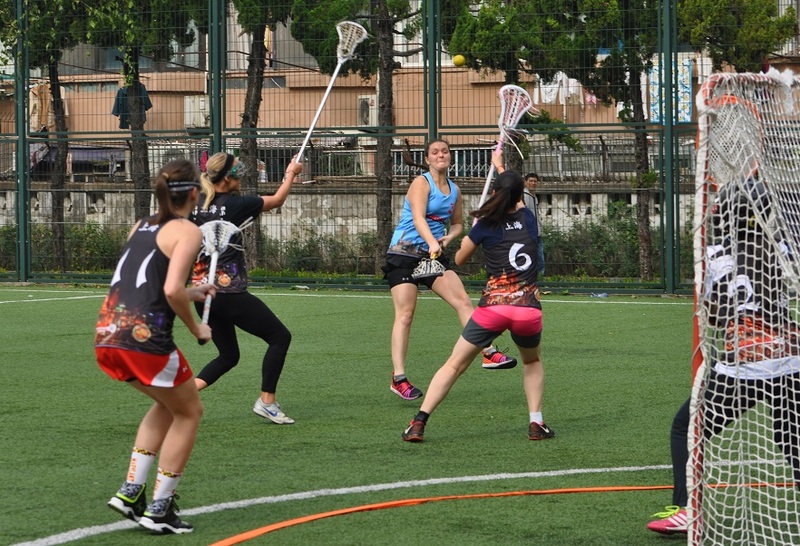 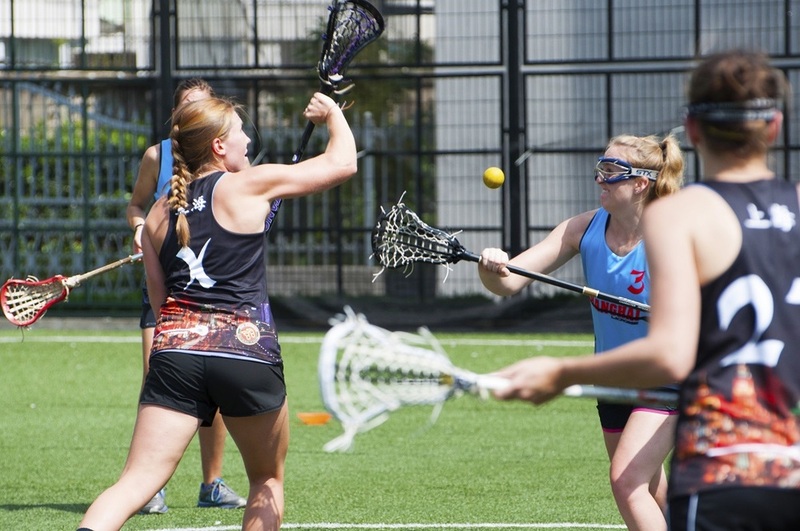 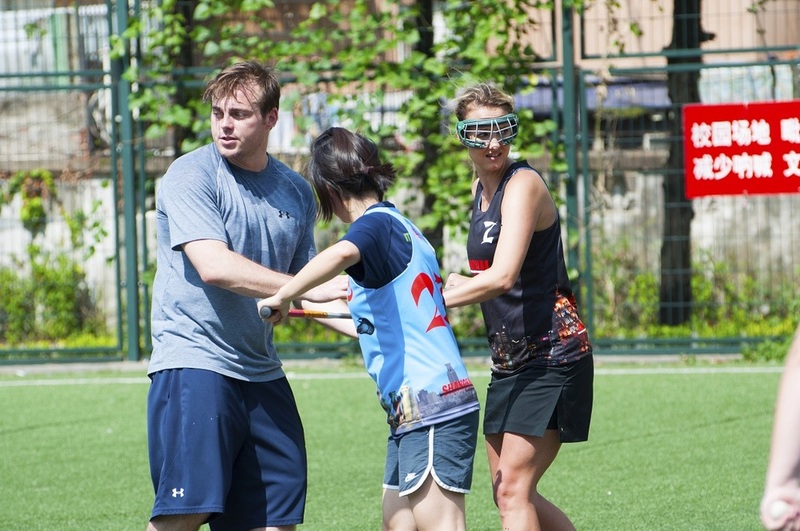 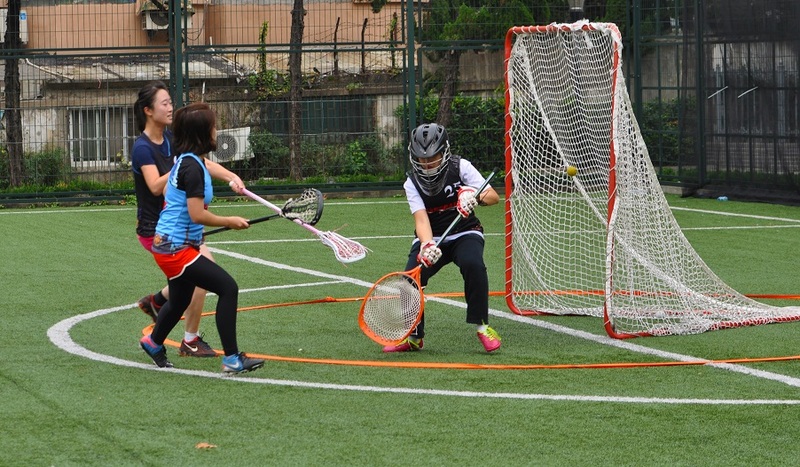 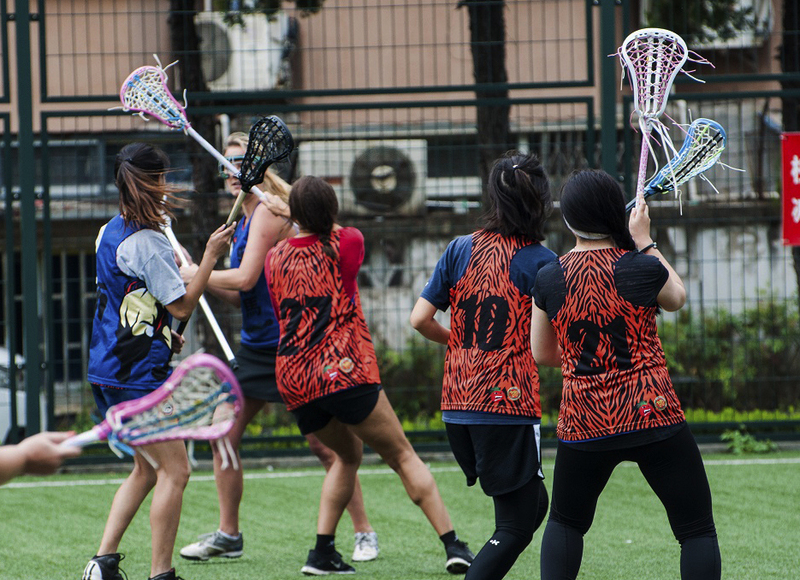 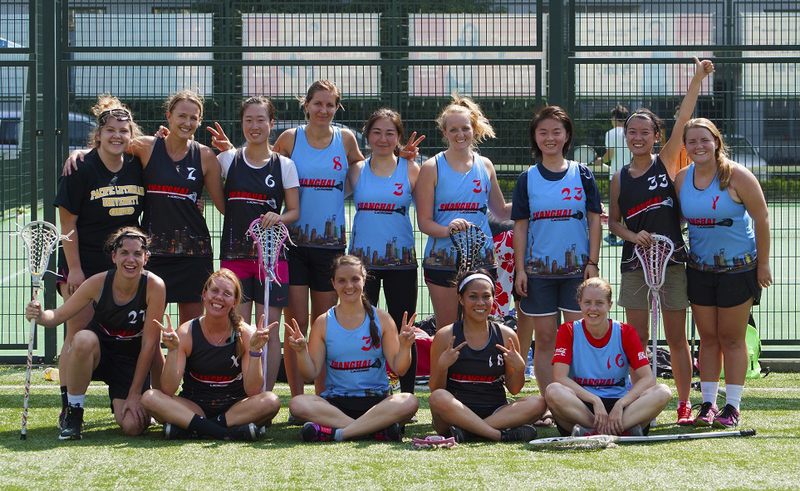 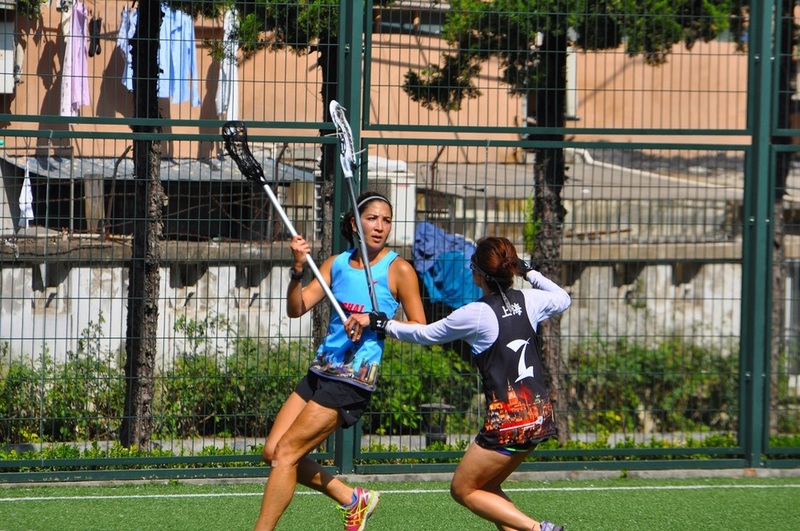 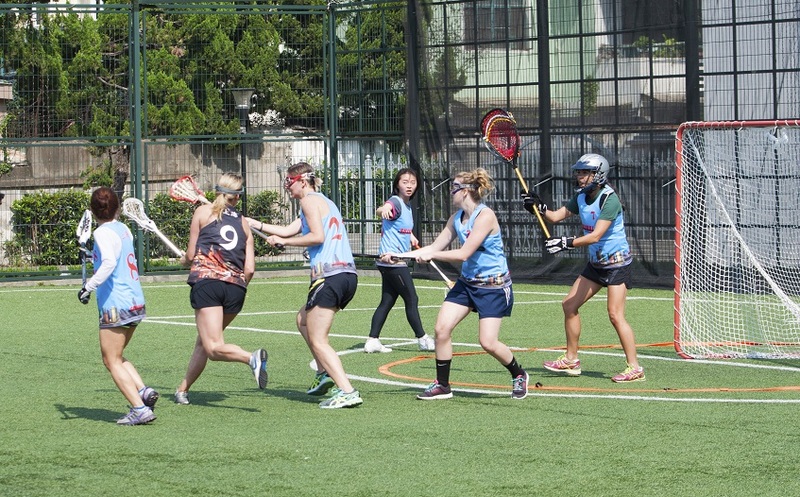 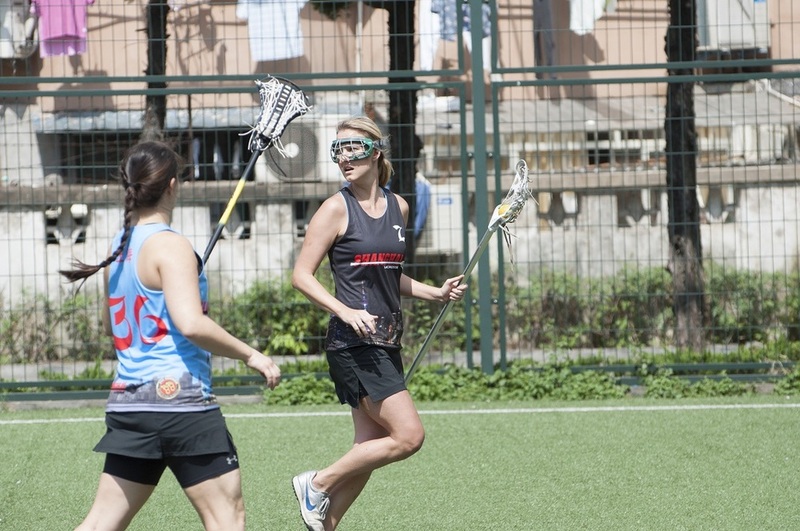 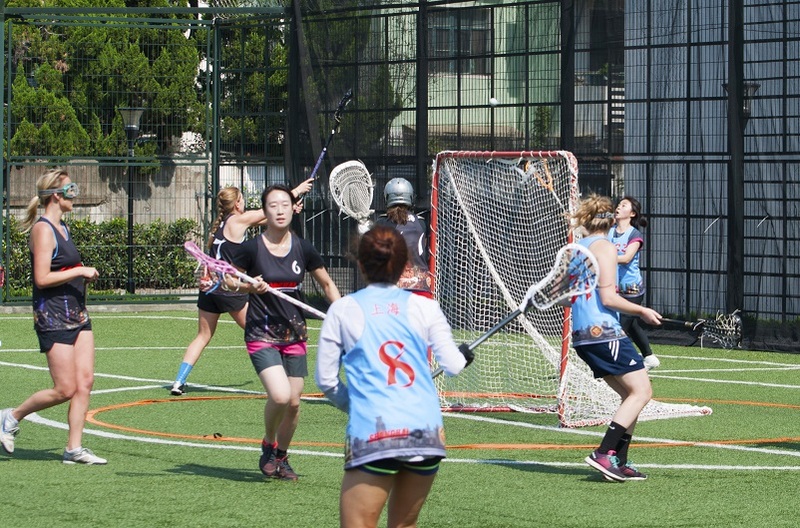 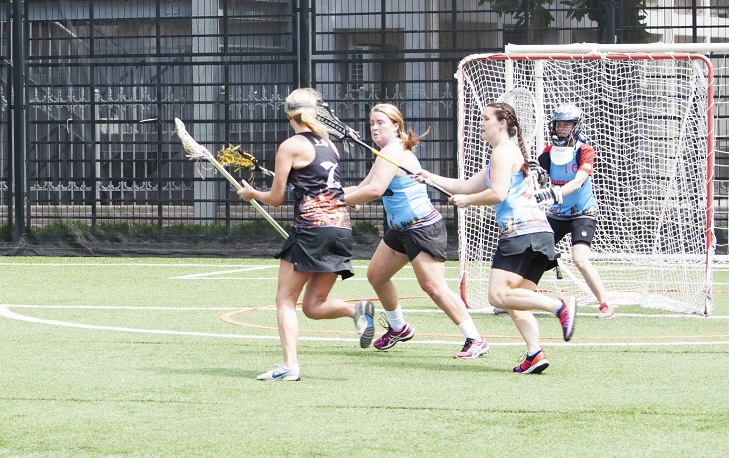 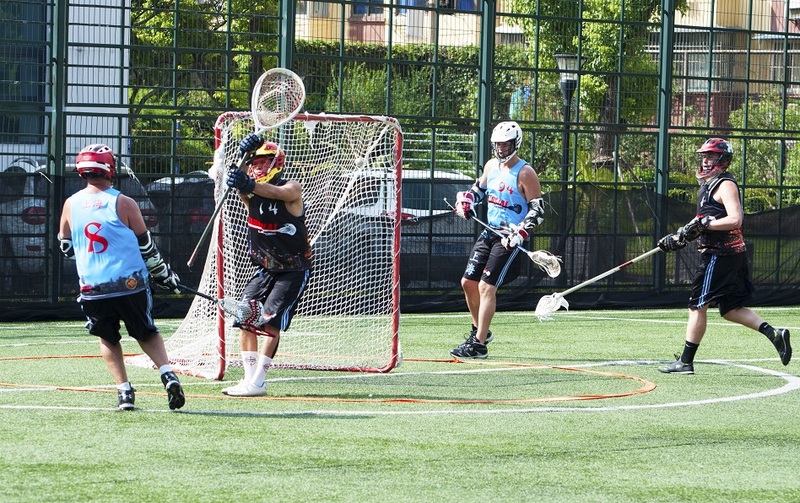 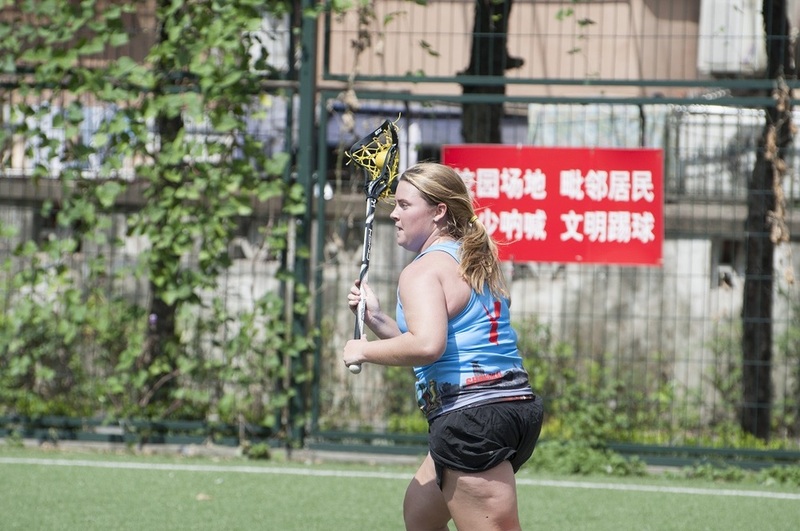 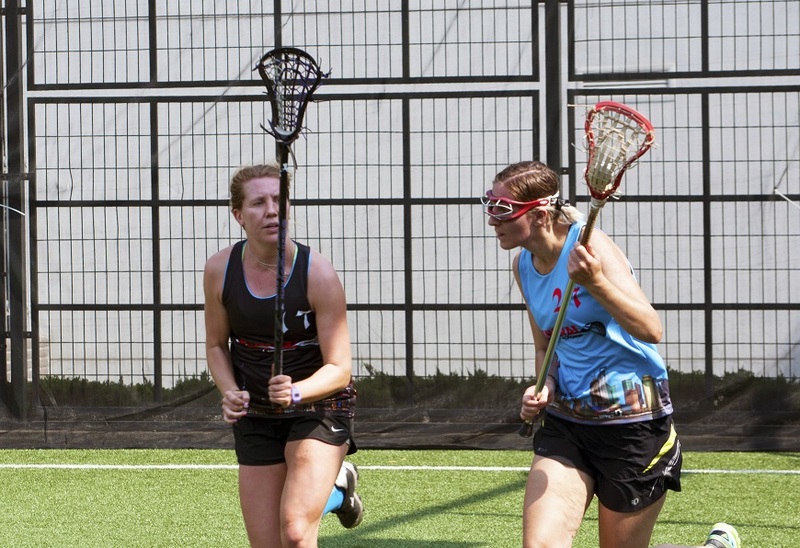 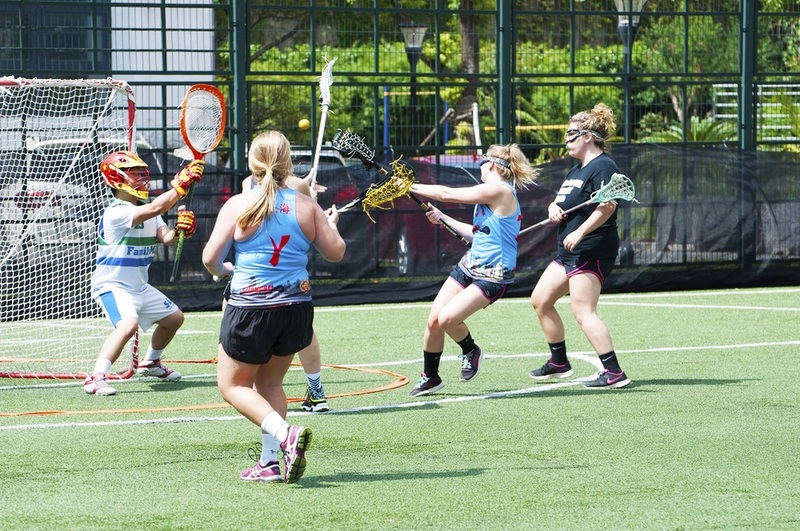 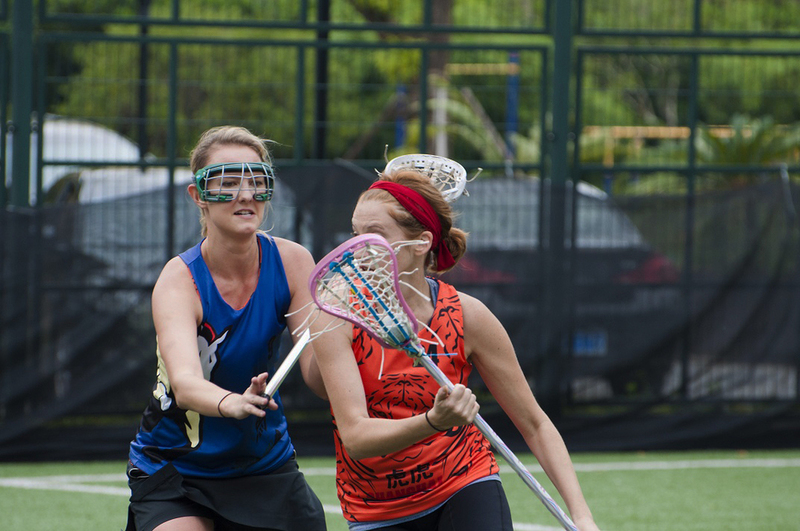 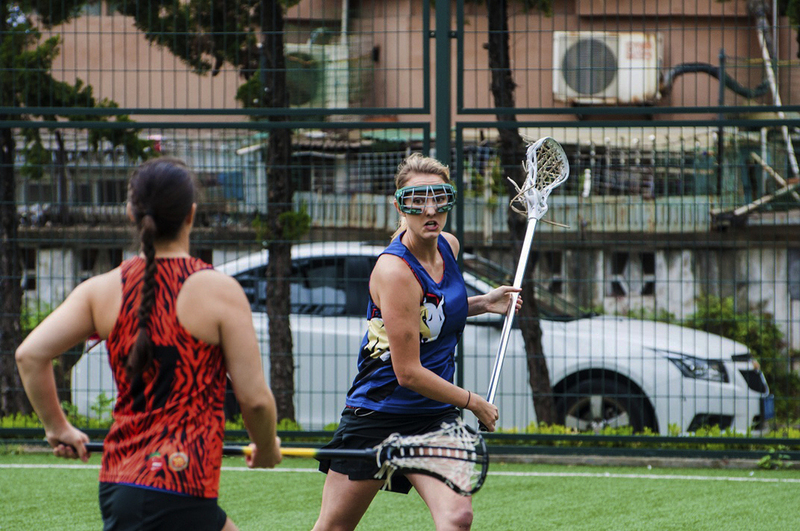 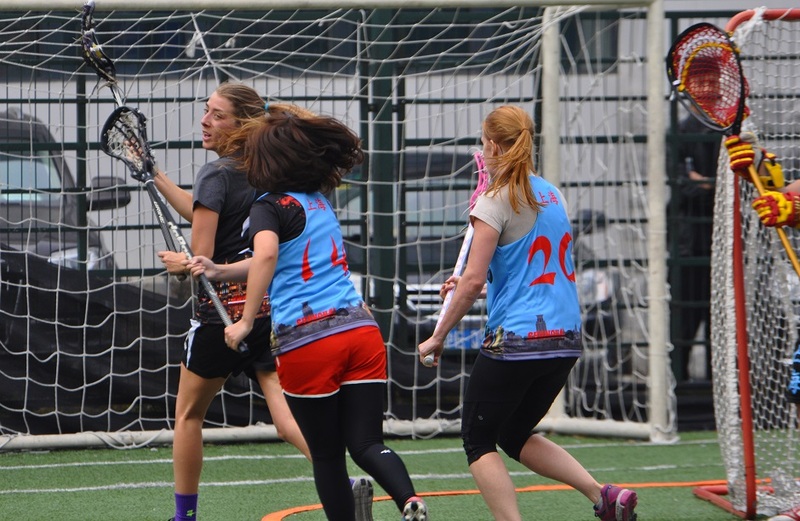 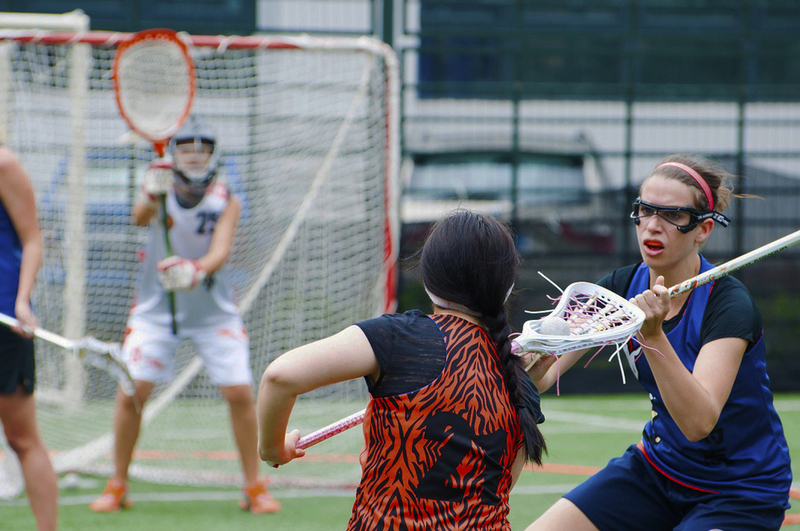 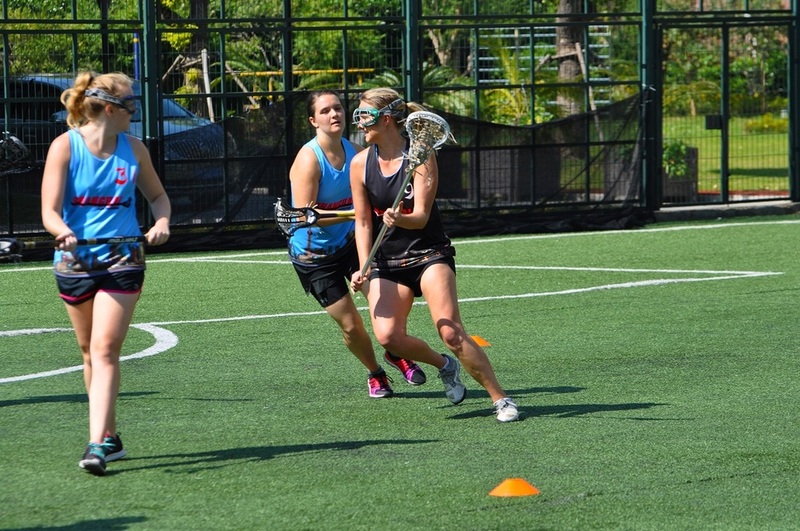 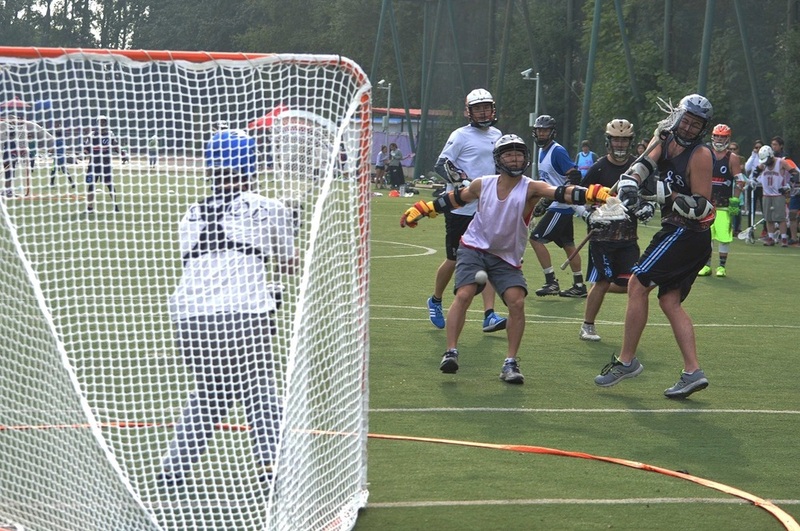 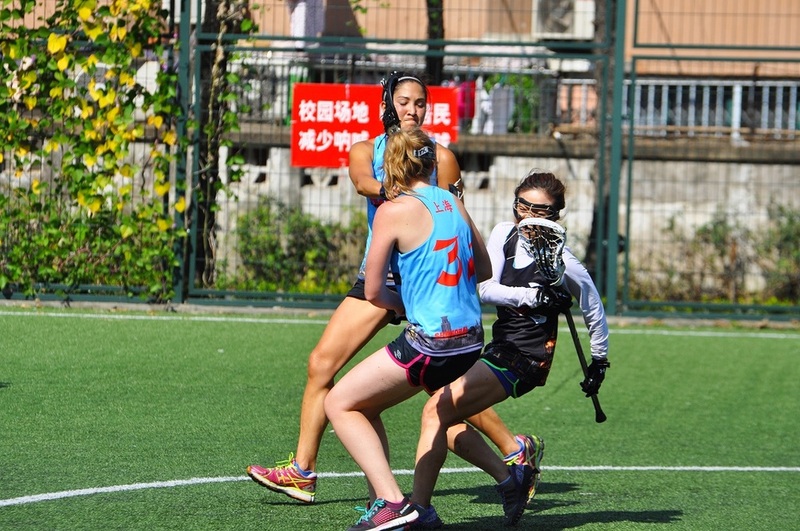 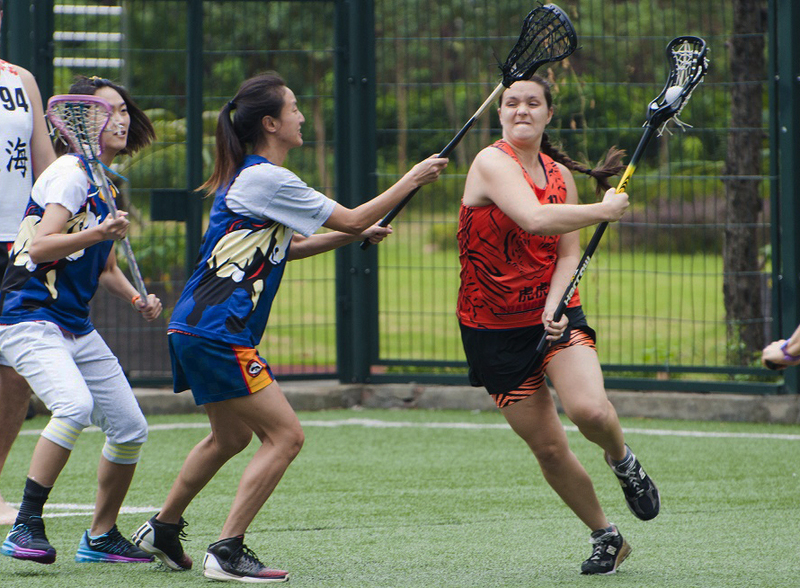 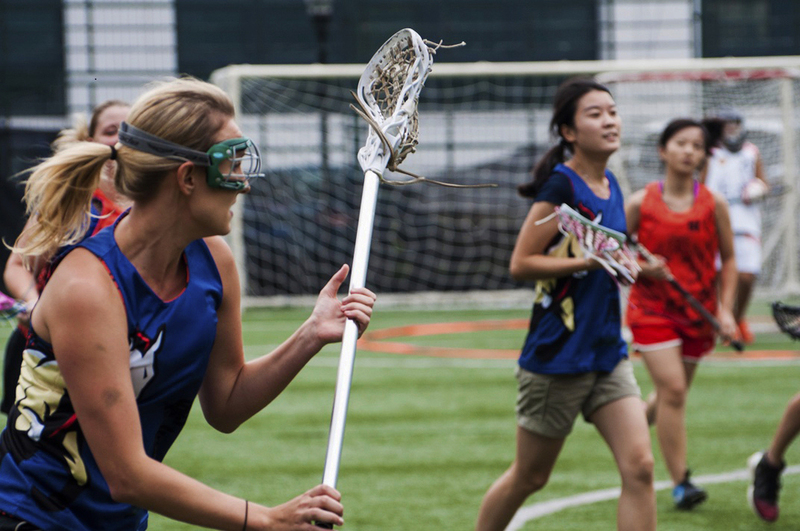 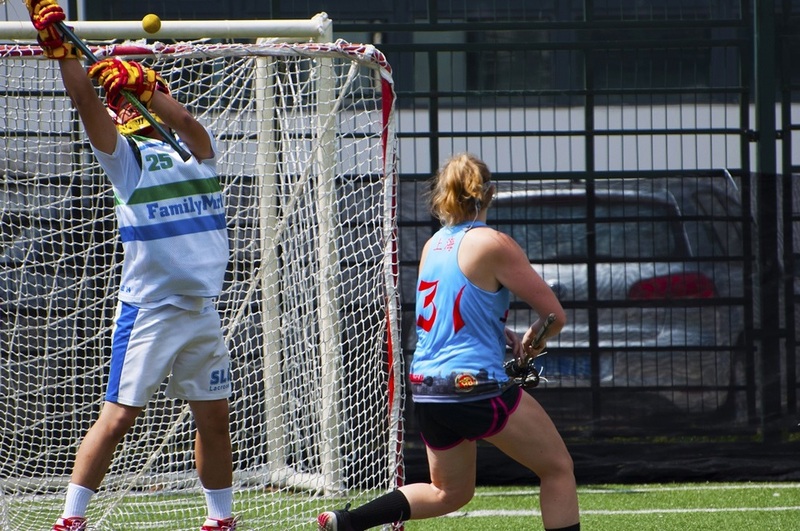 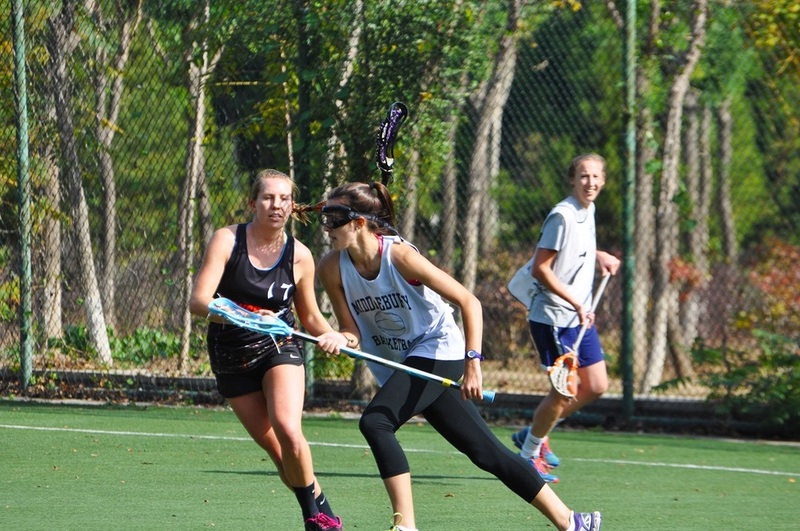 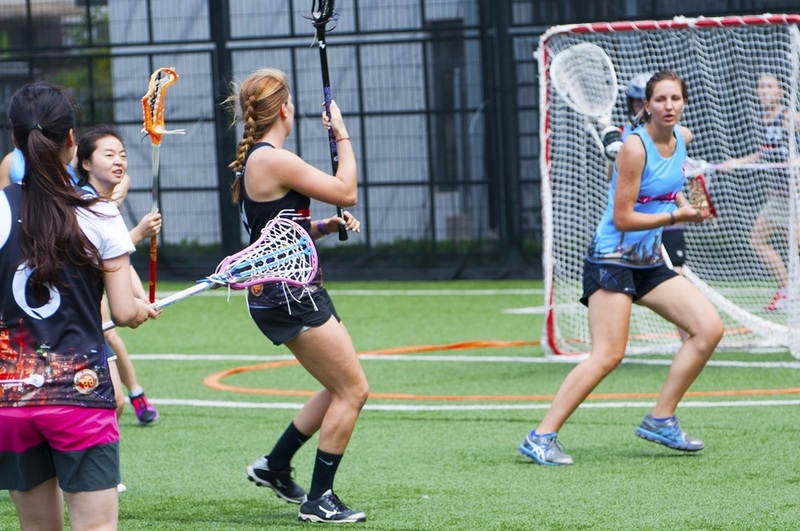 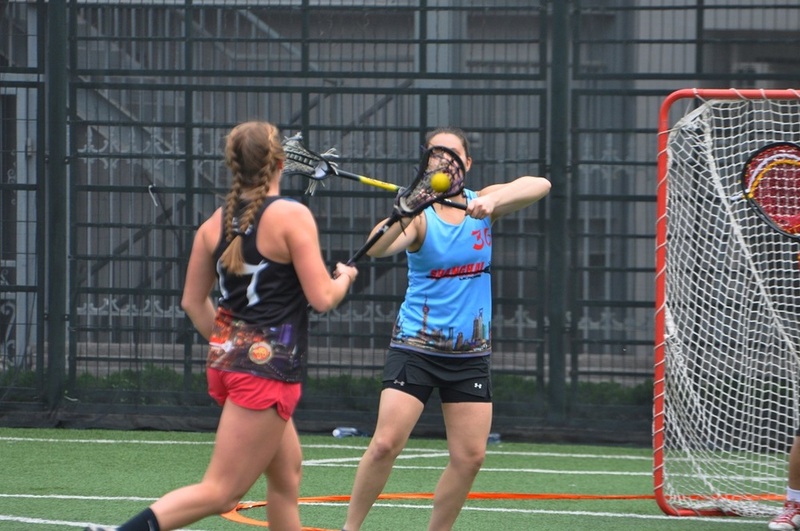 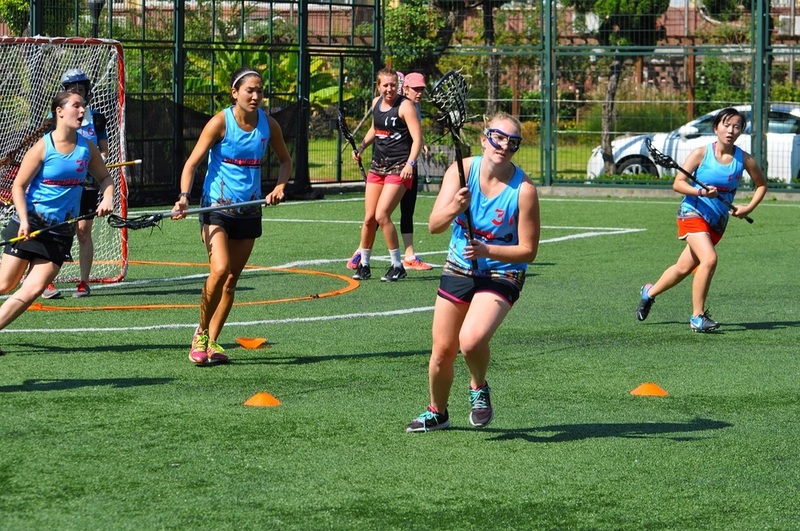 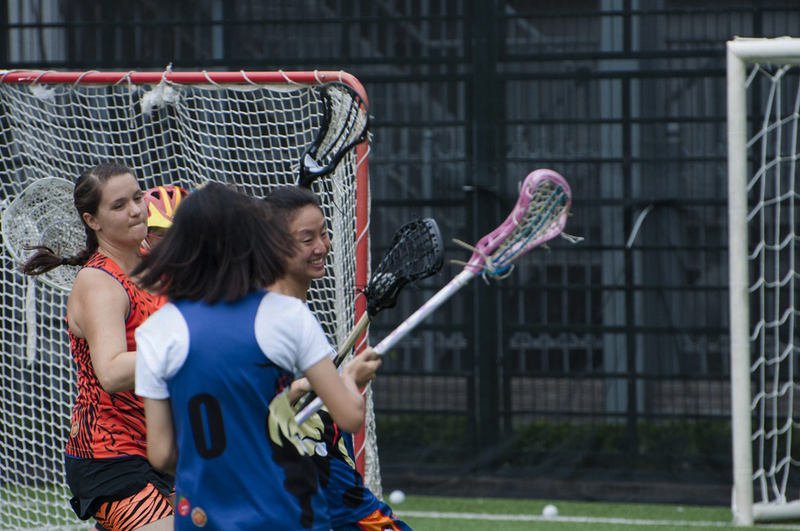 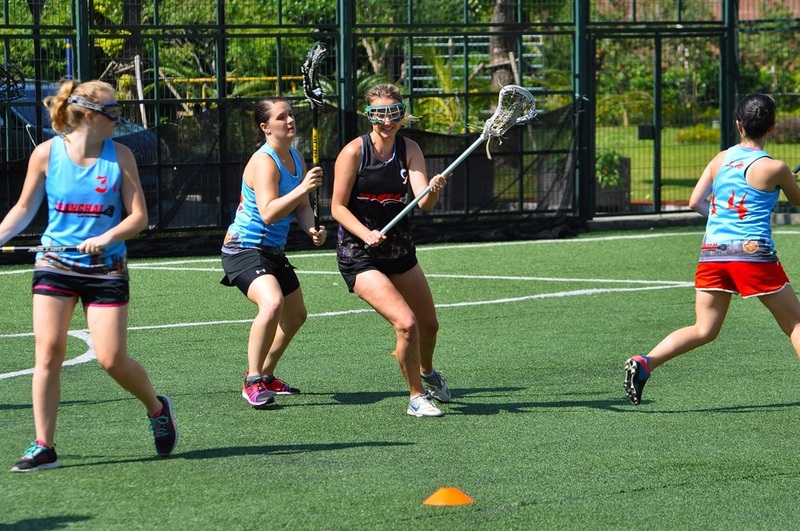 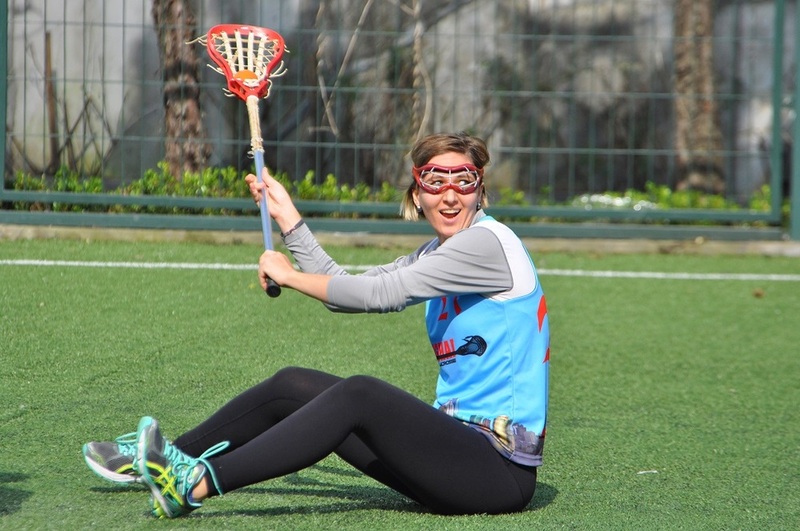 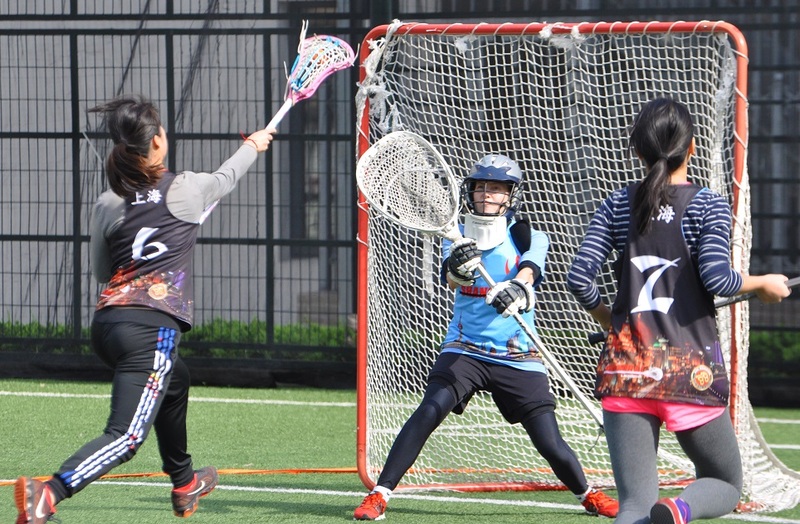 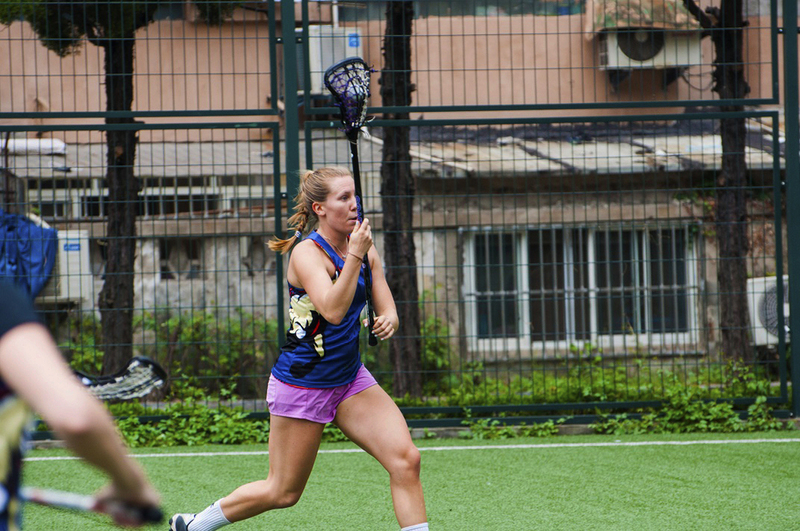 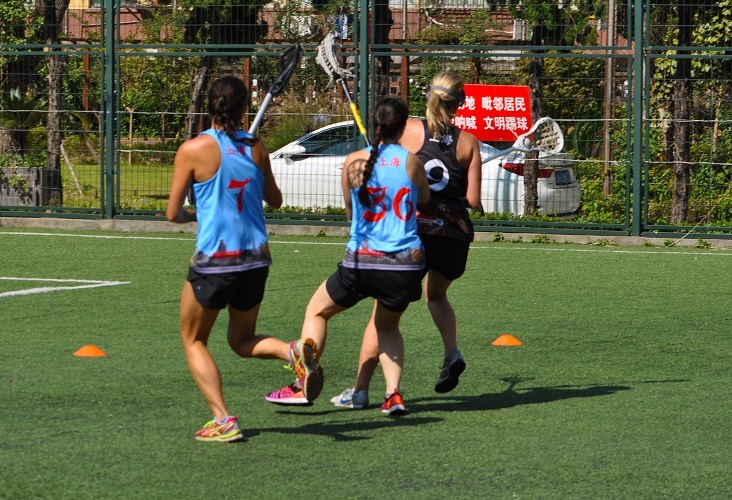 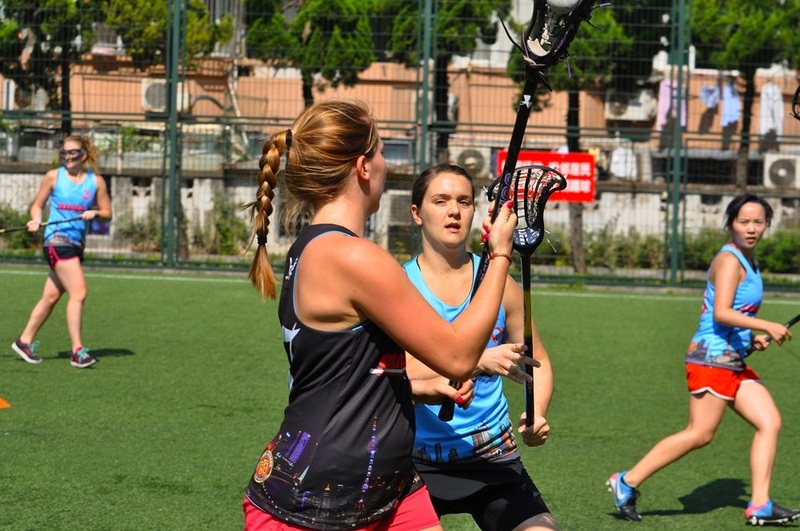 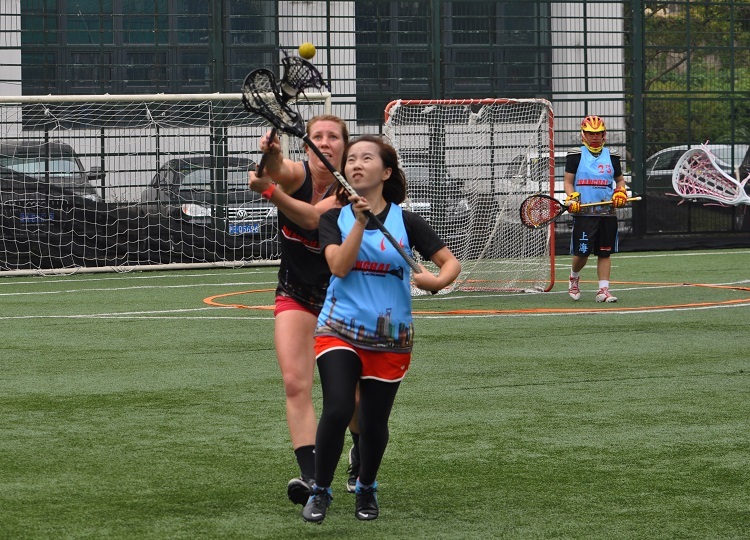 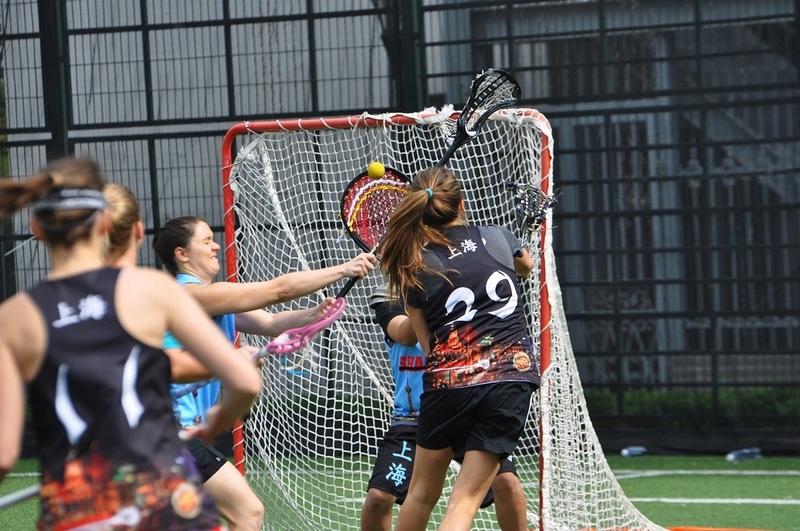 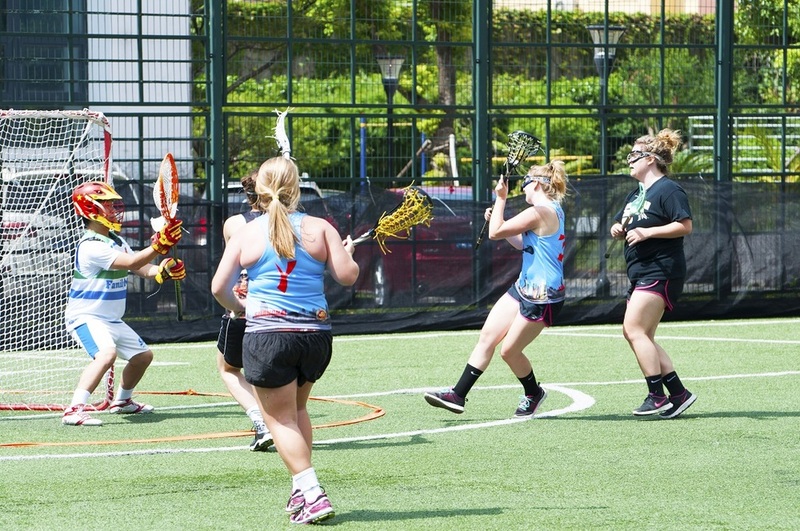 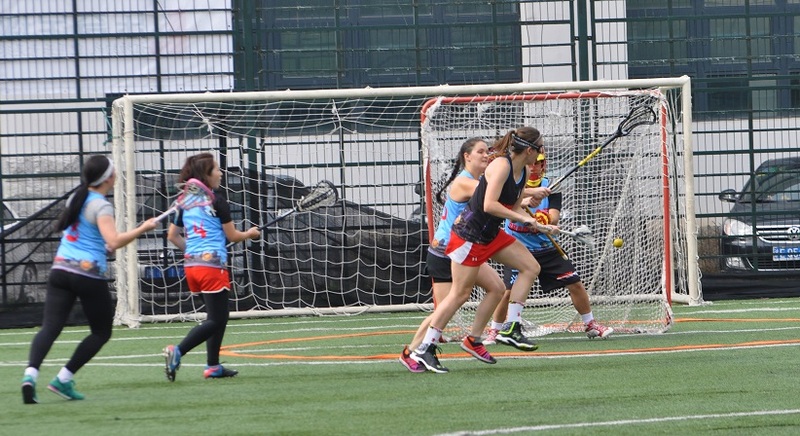 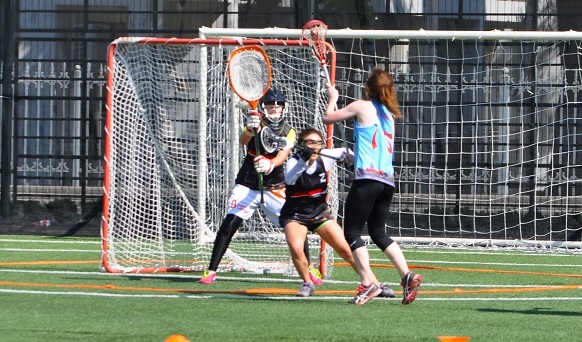 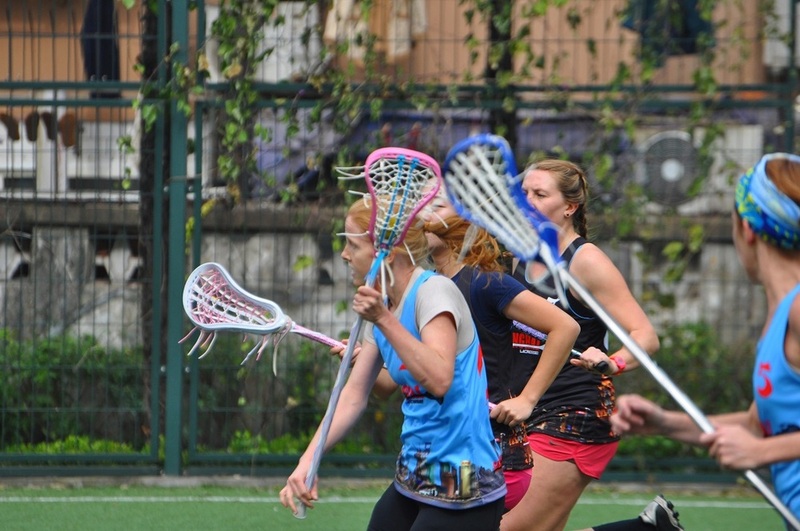 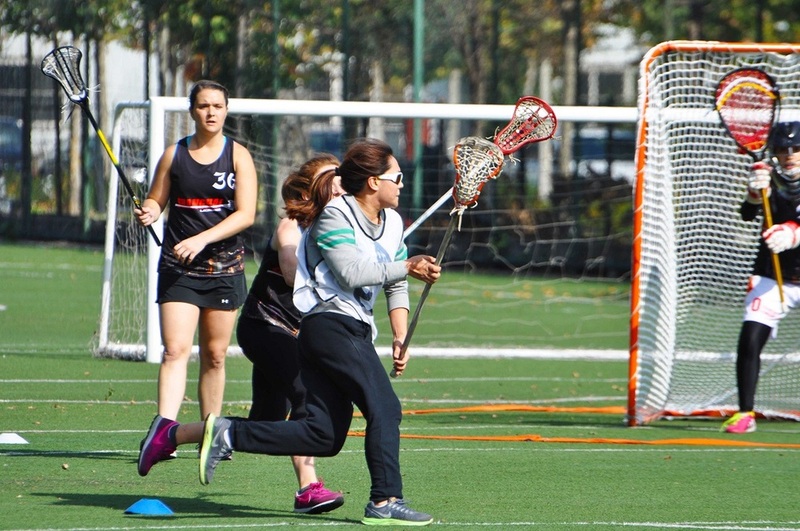 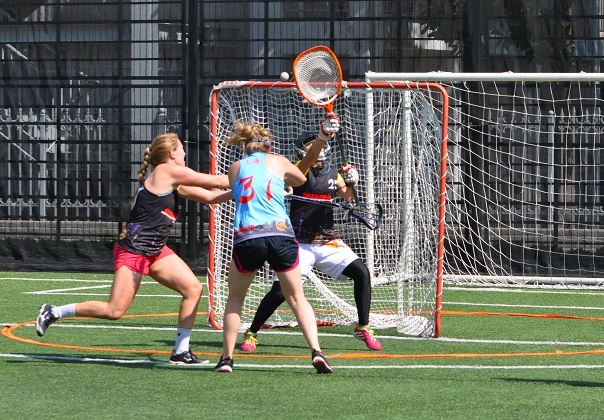 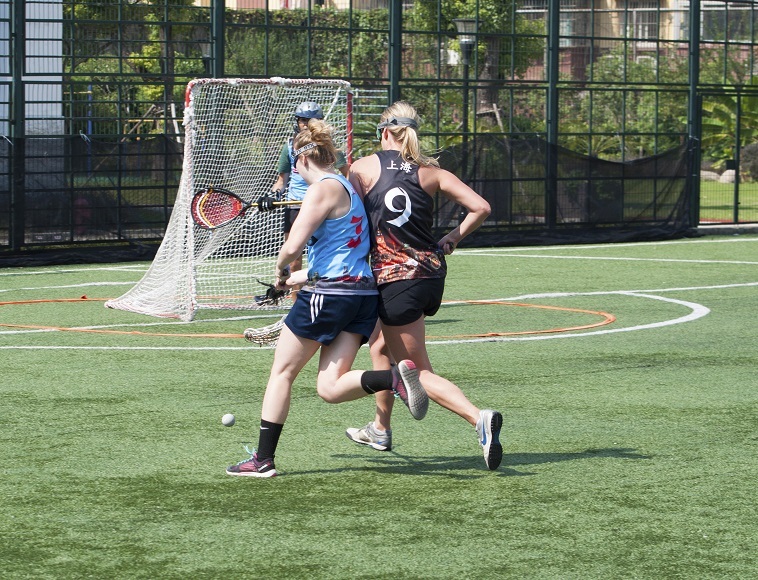 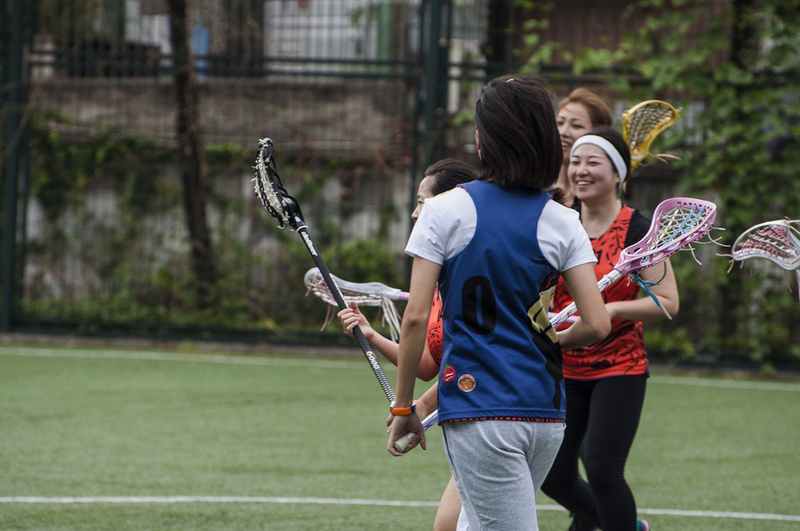 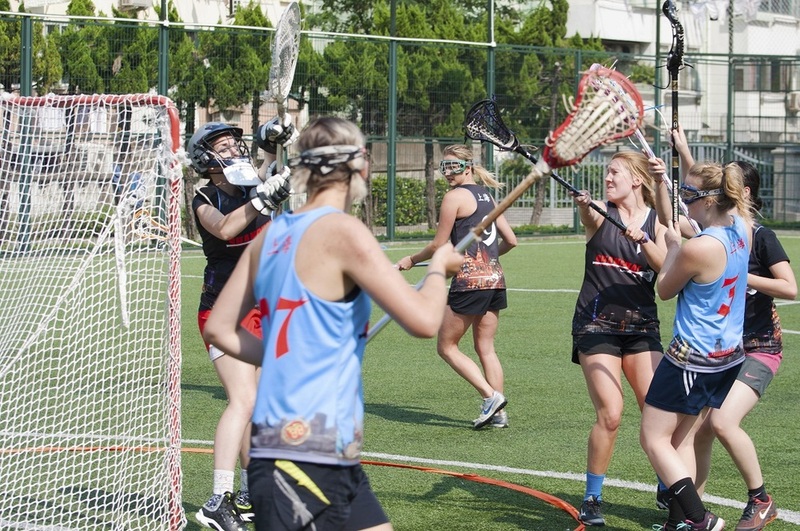 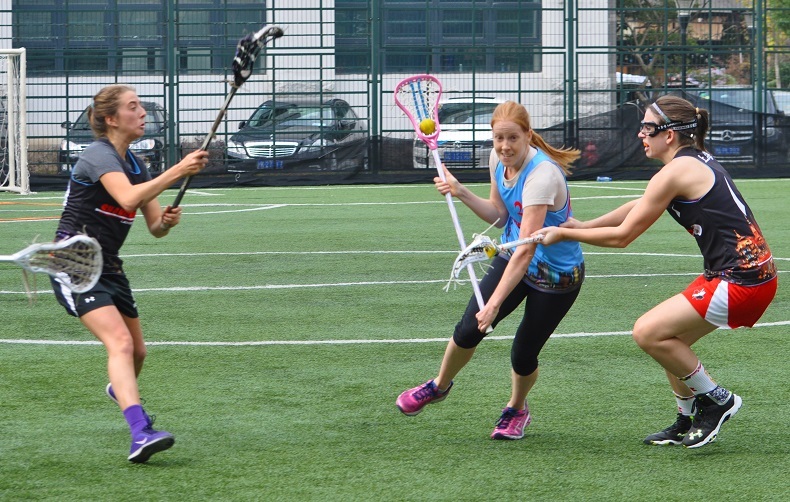 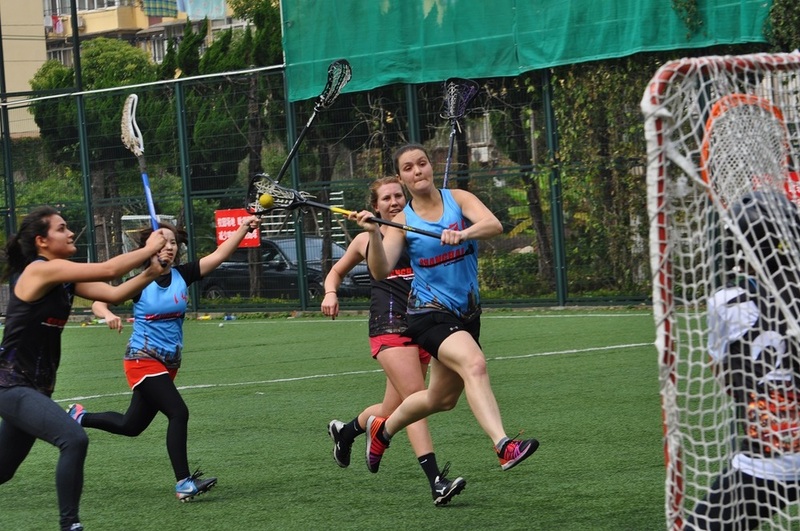 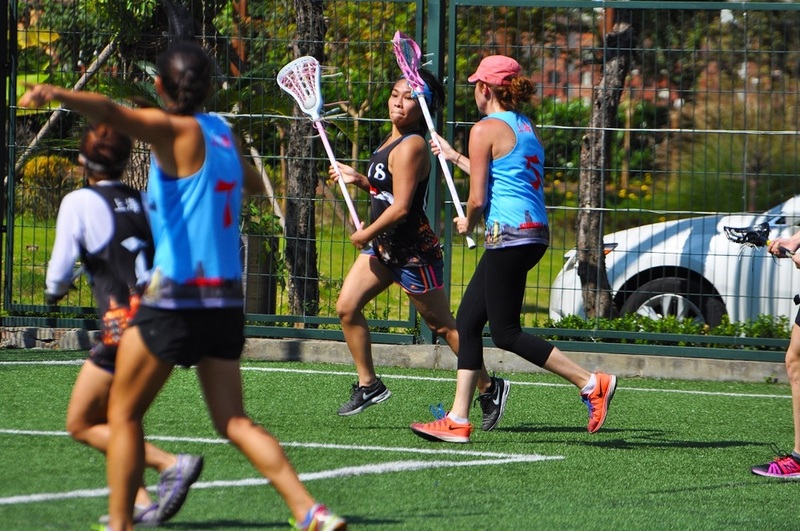 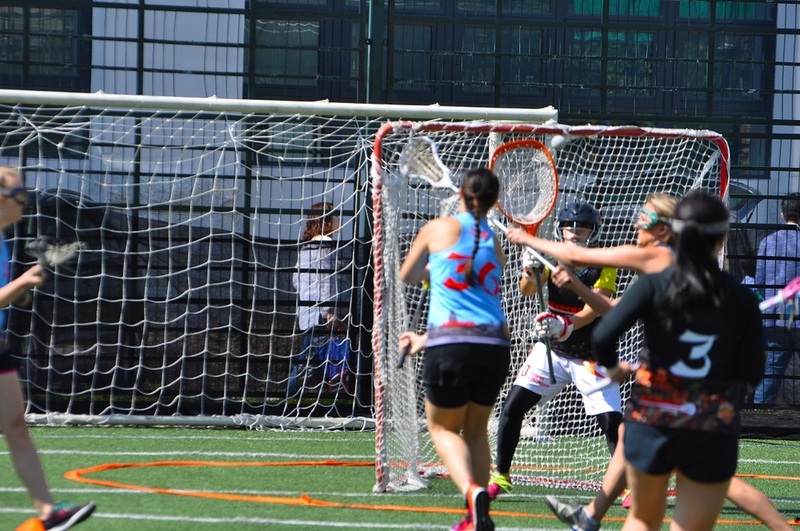 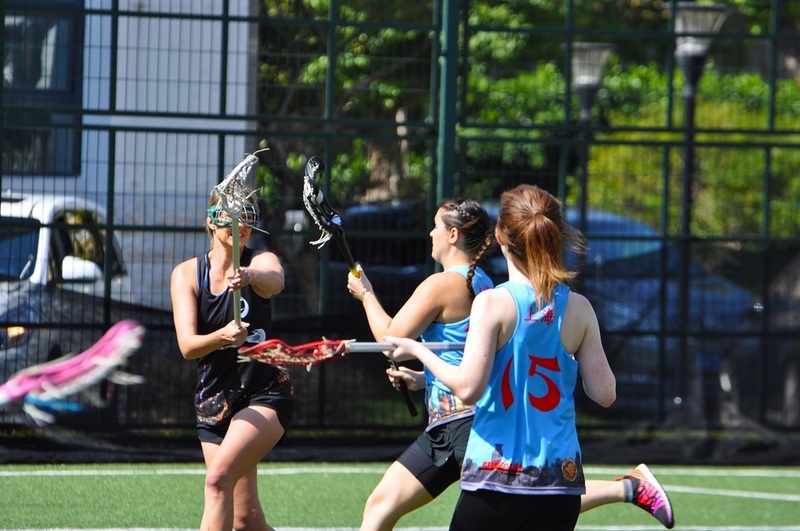 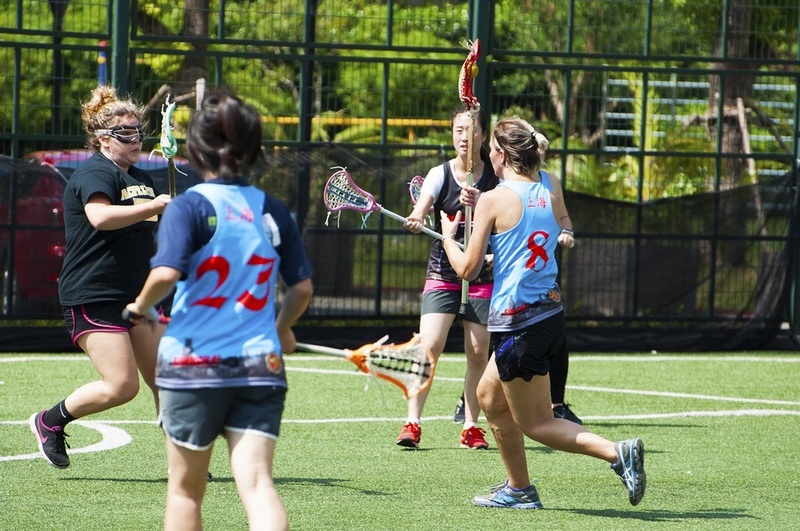 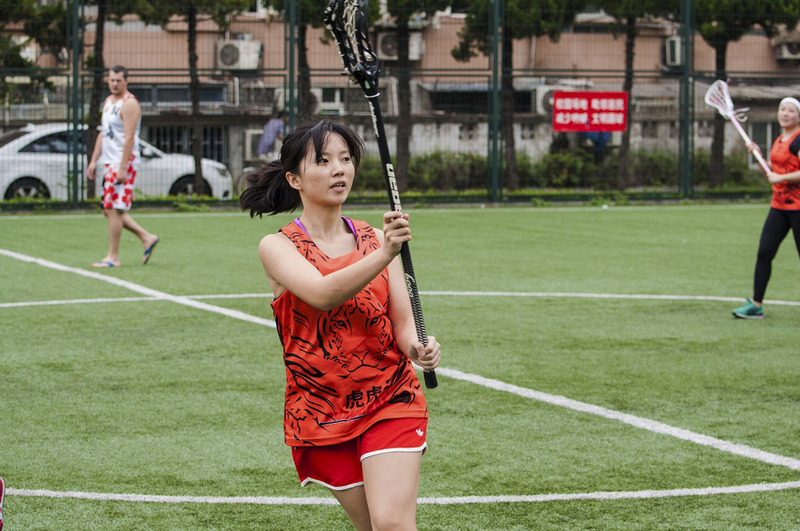 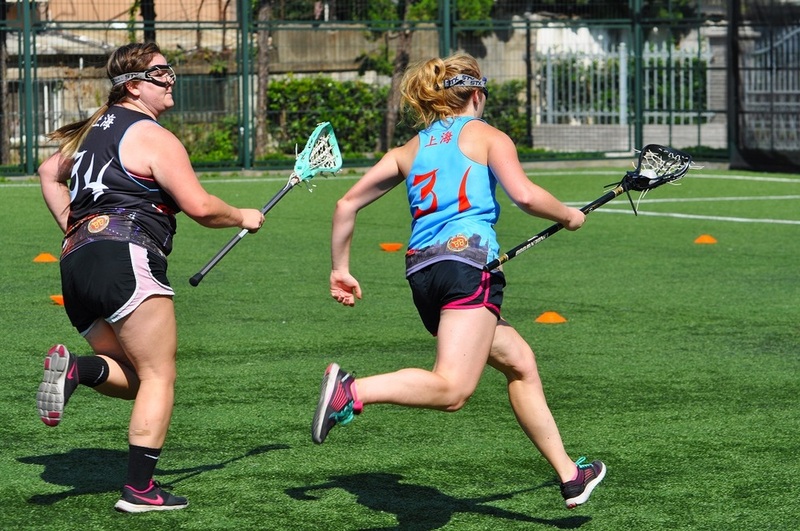 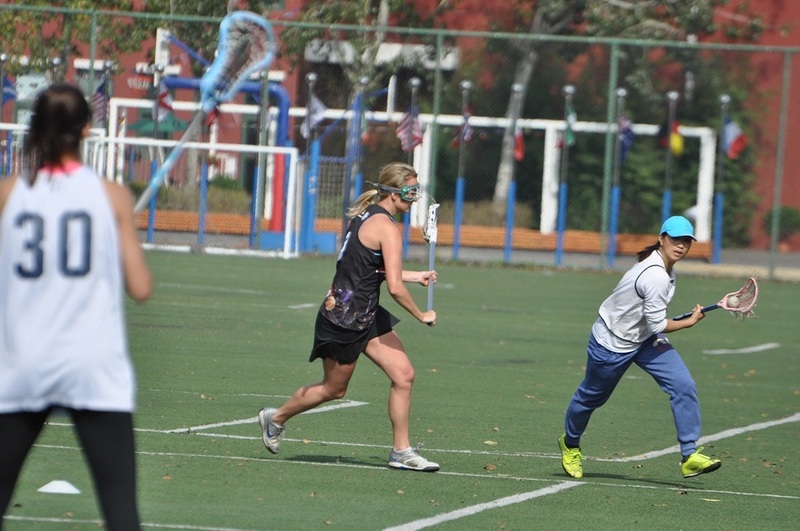 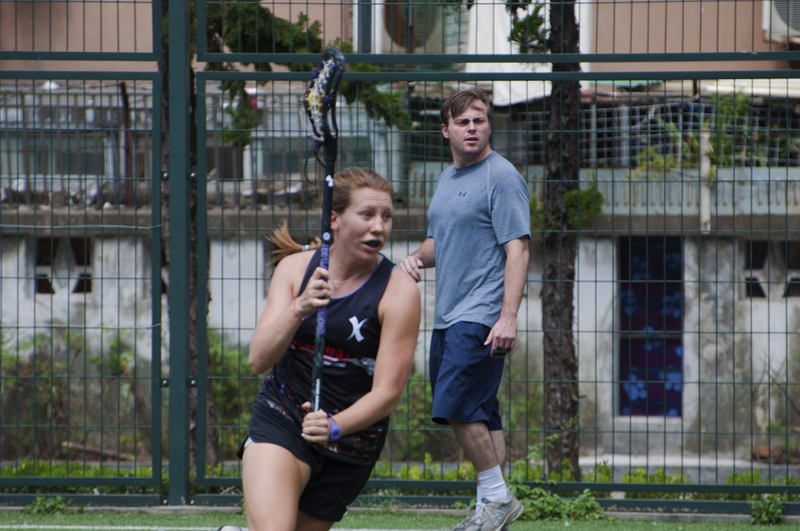 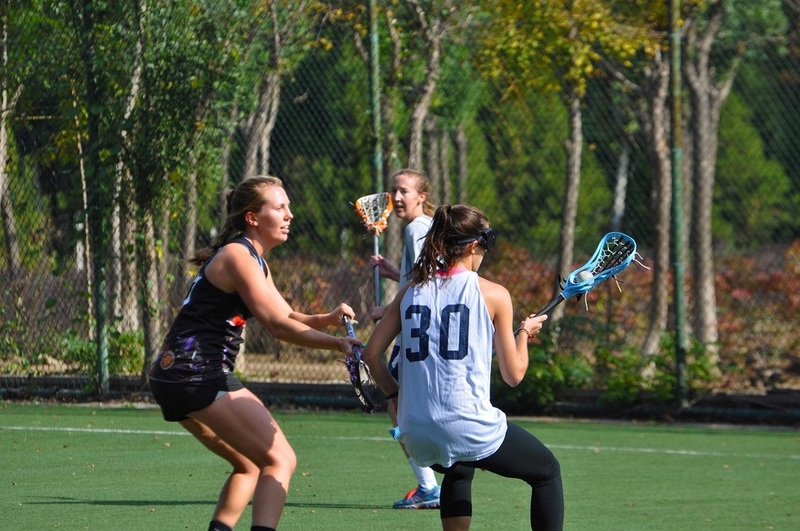 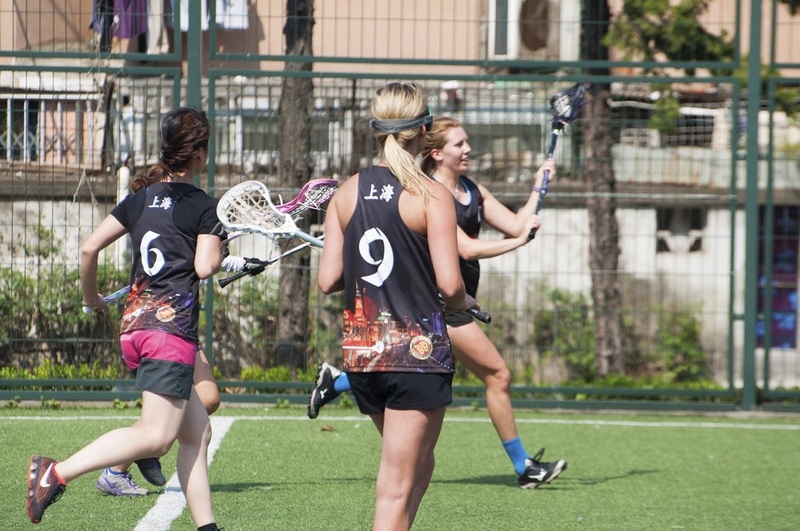 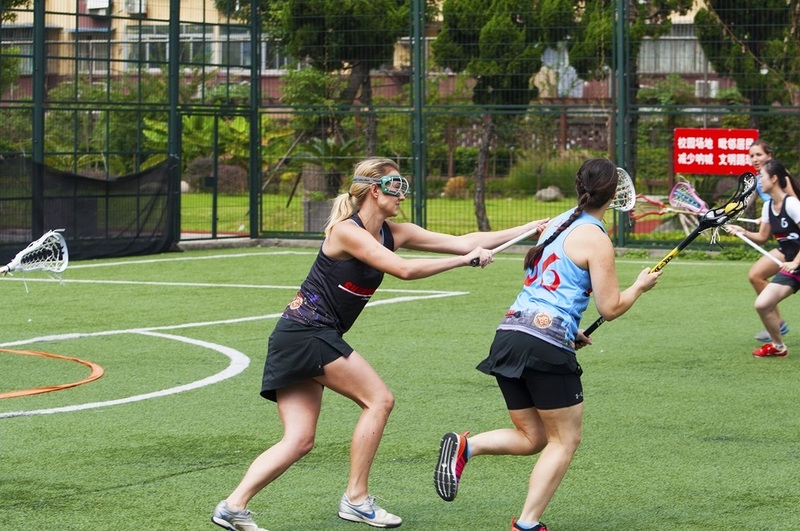 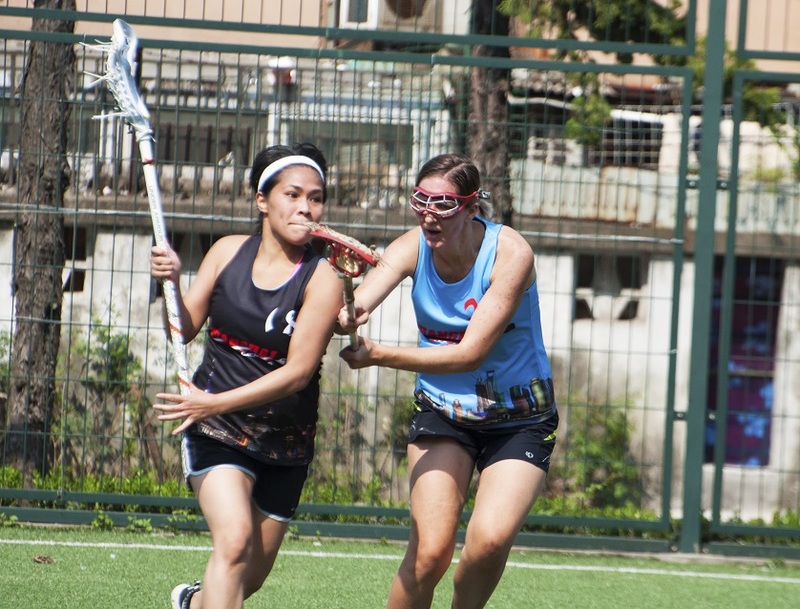 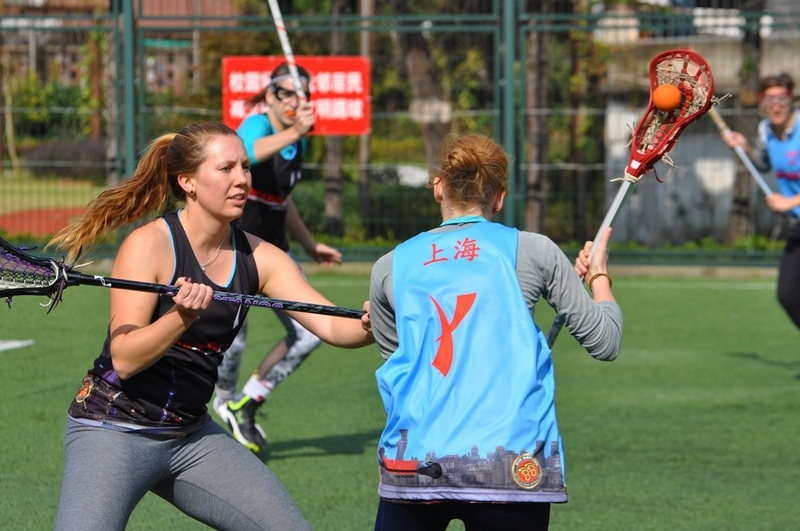 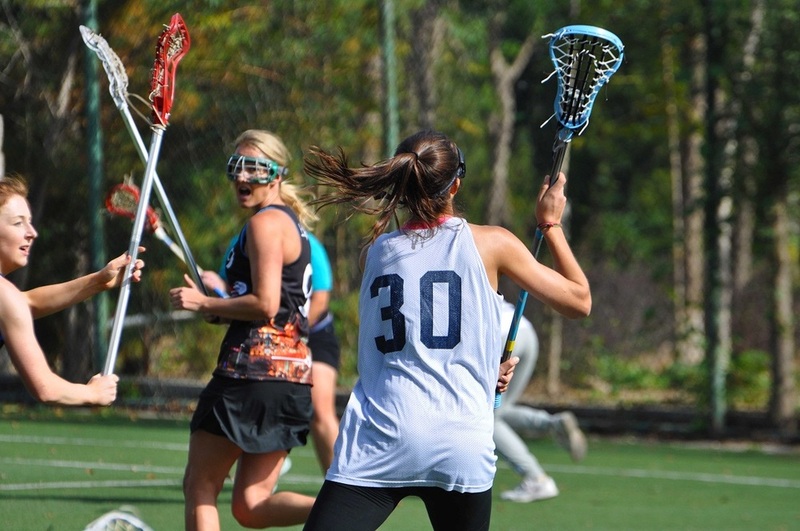 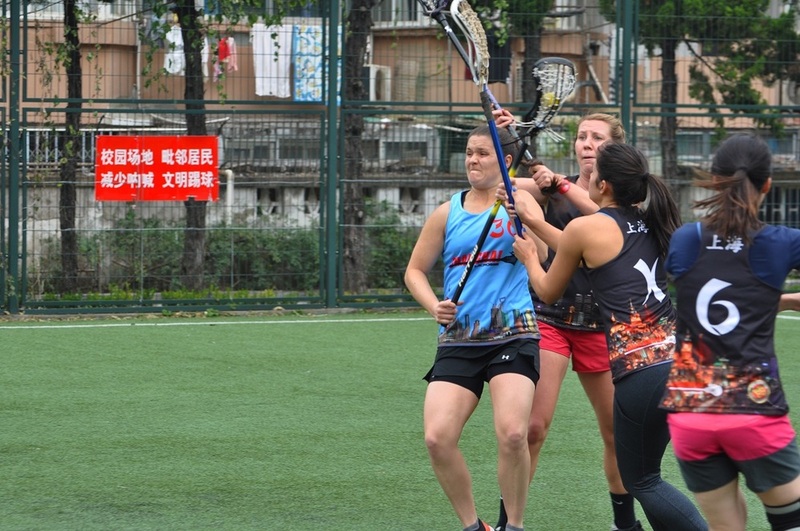 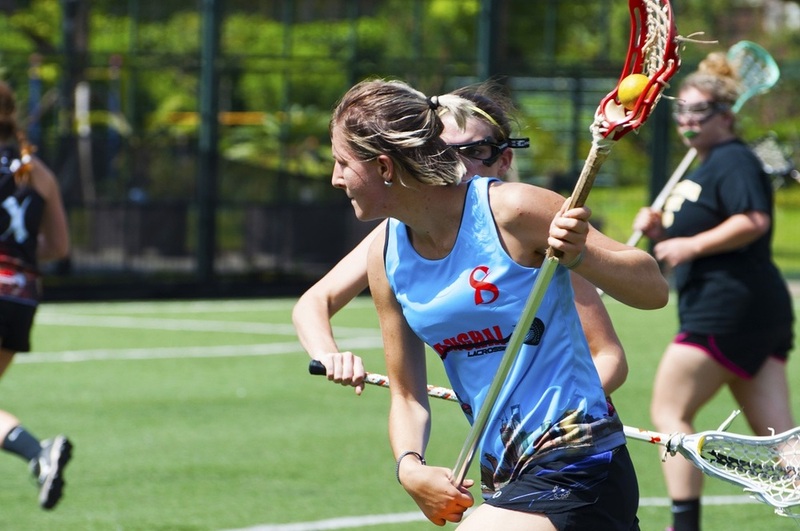 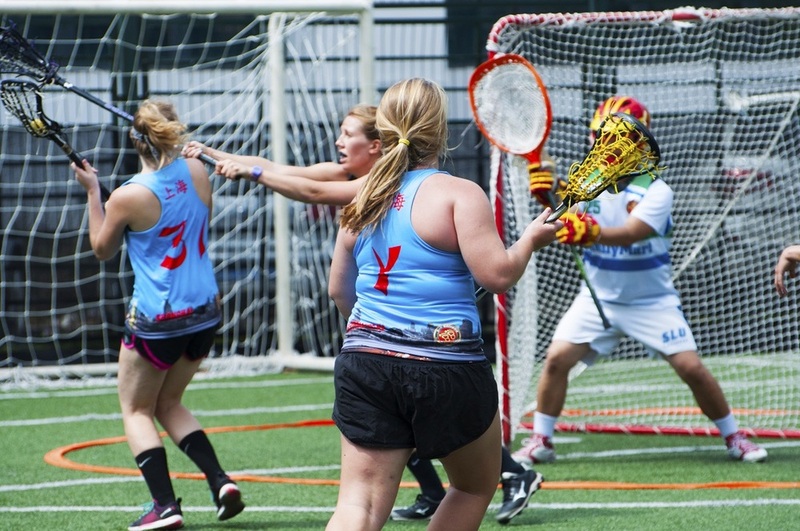 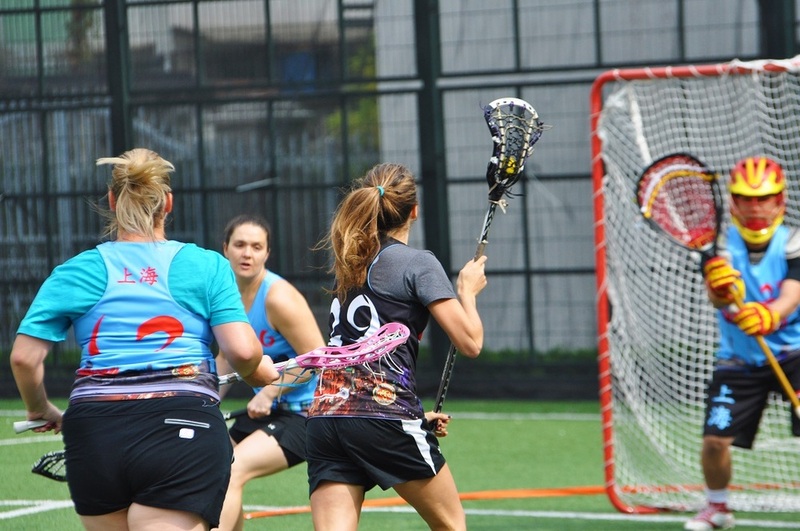 It was a big first weekend for Shanghai Lacrosse with 11 players on each team, starting the season at an all time record high for women's players. 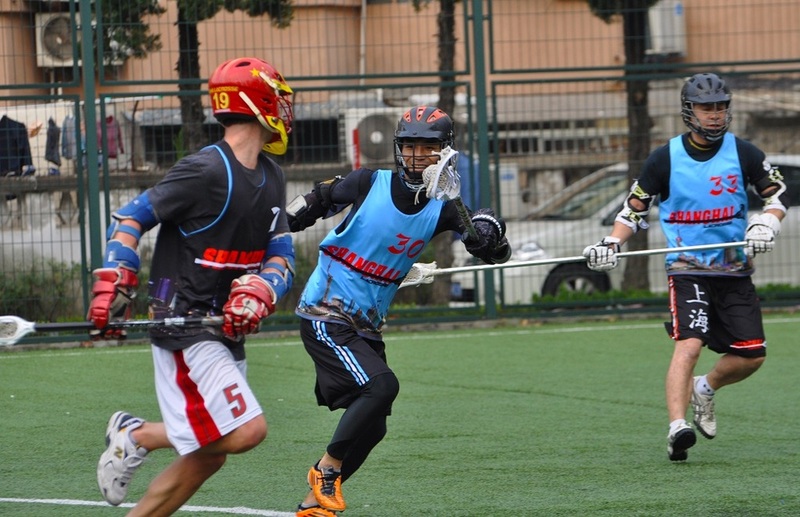 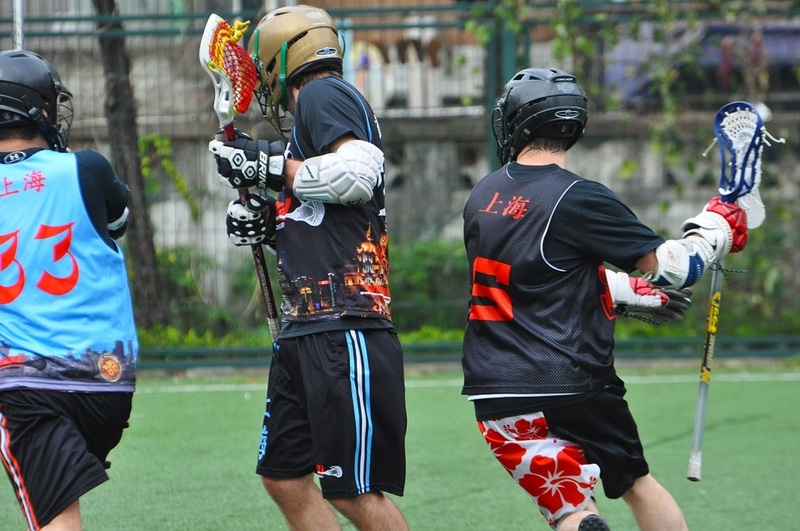 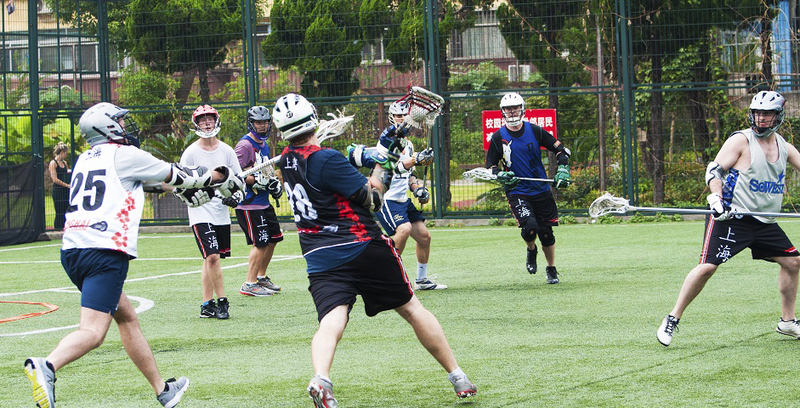 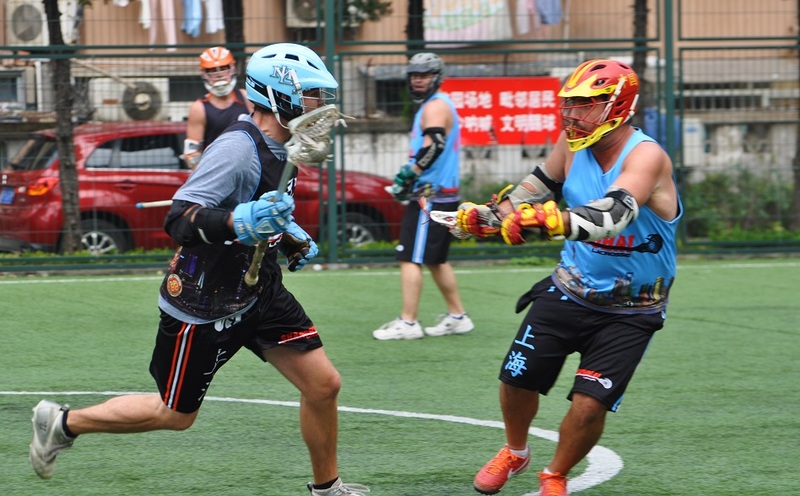 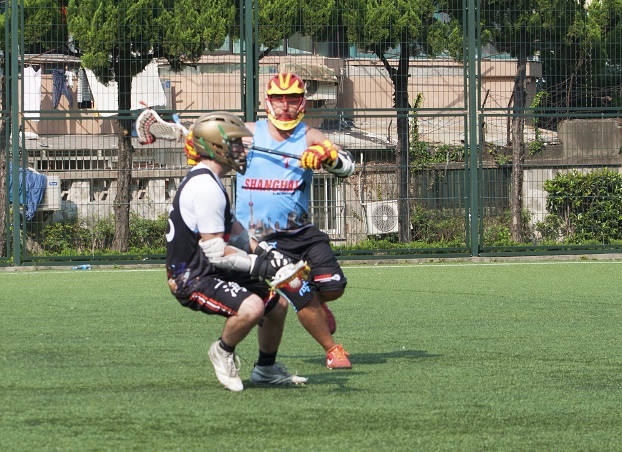 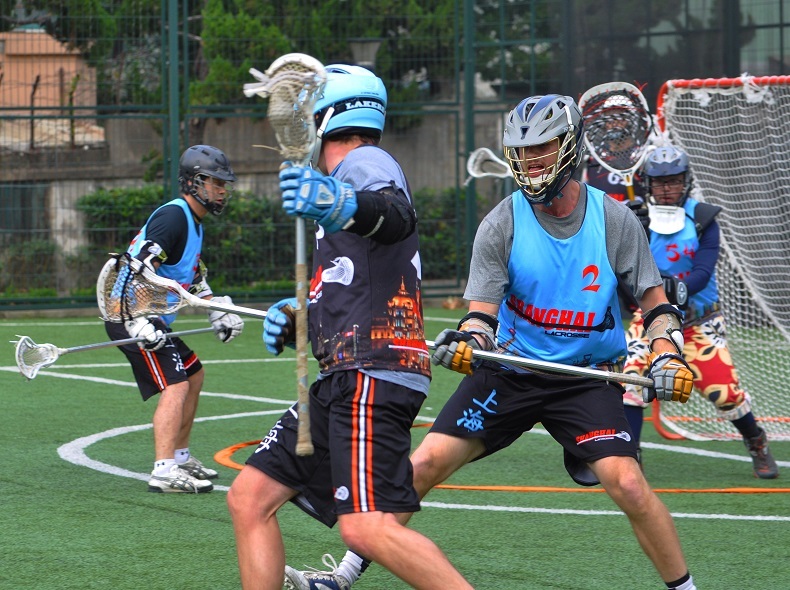 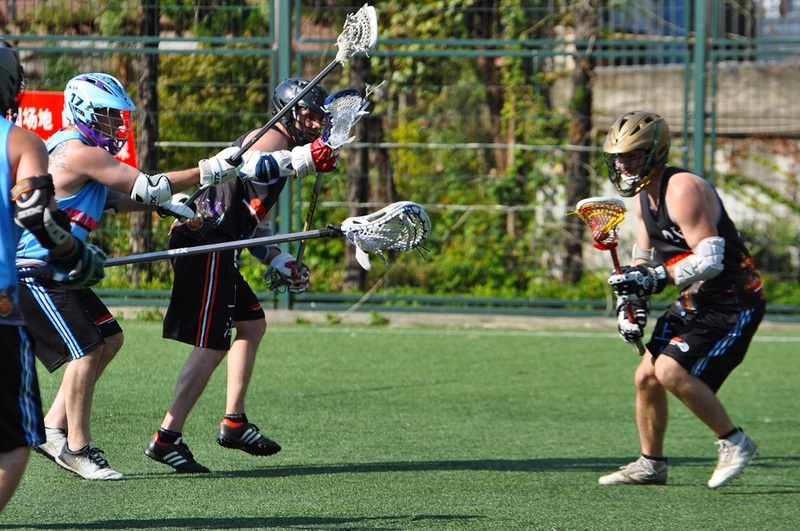 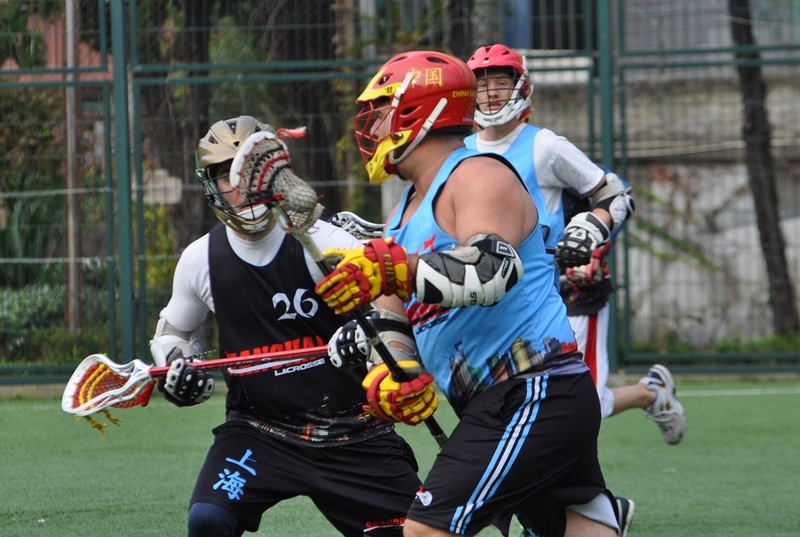 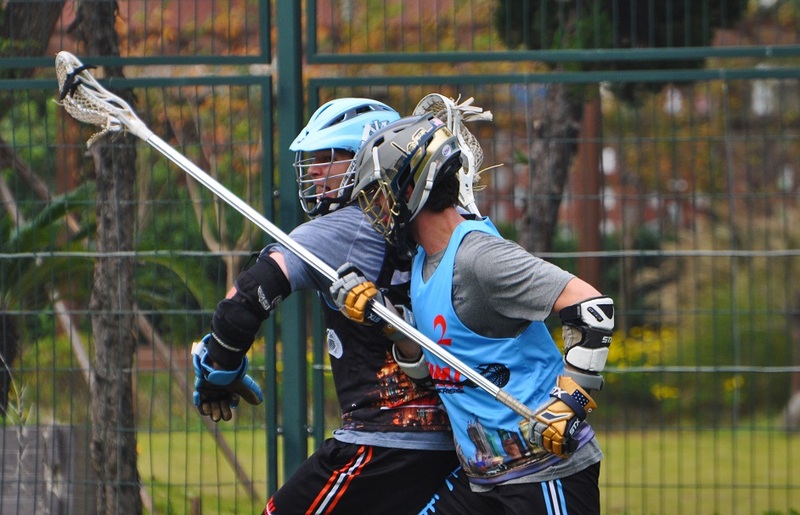 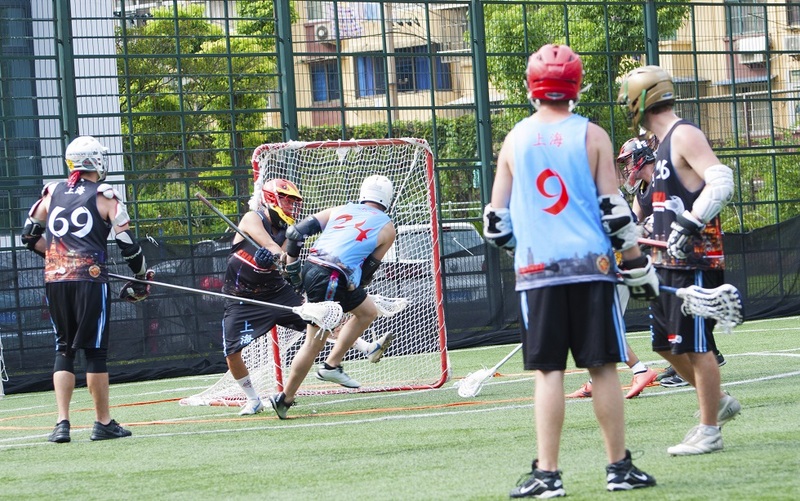 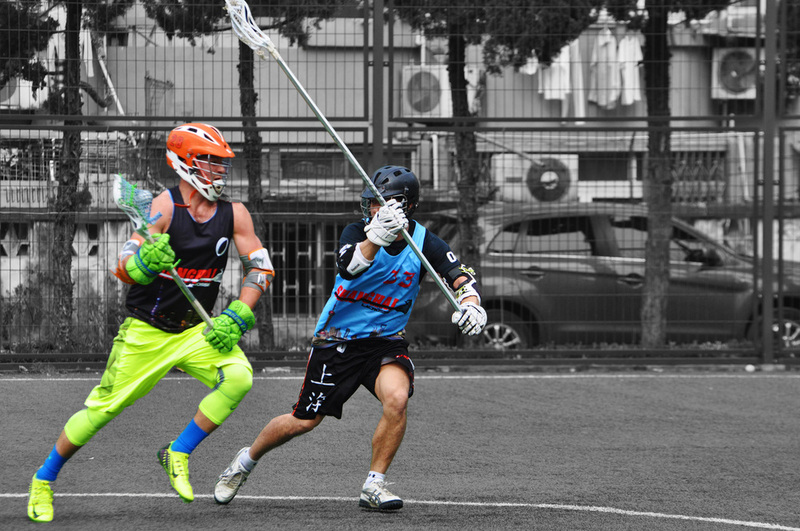 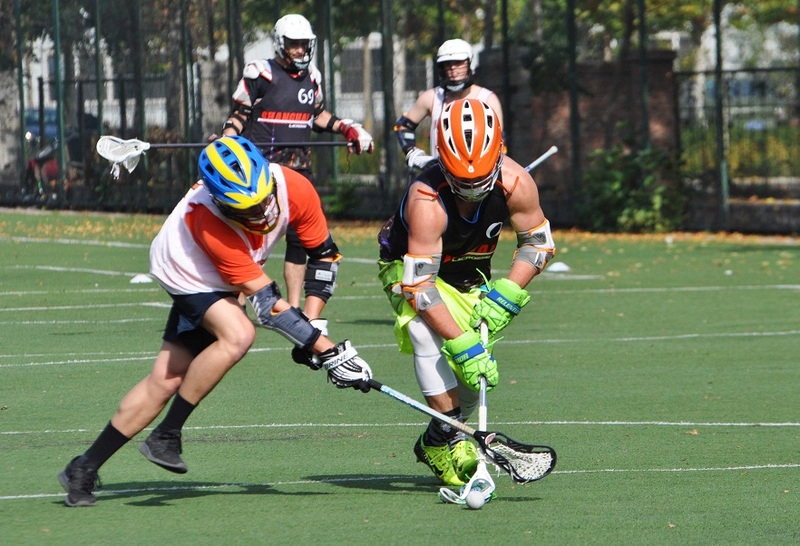 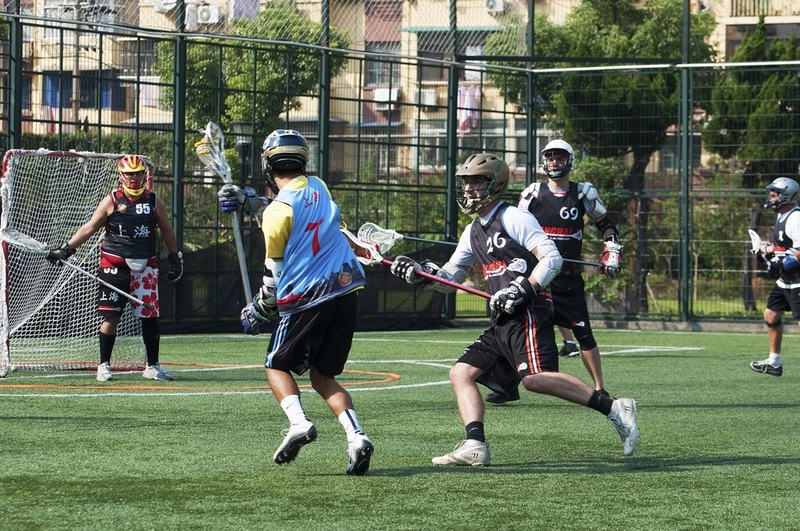 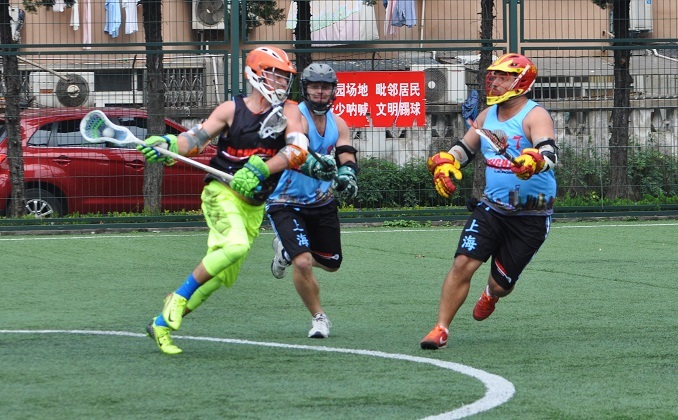 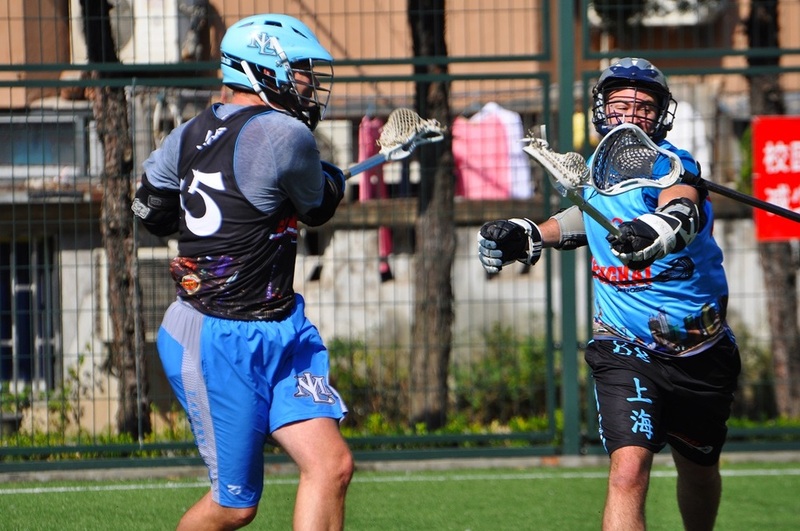 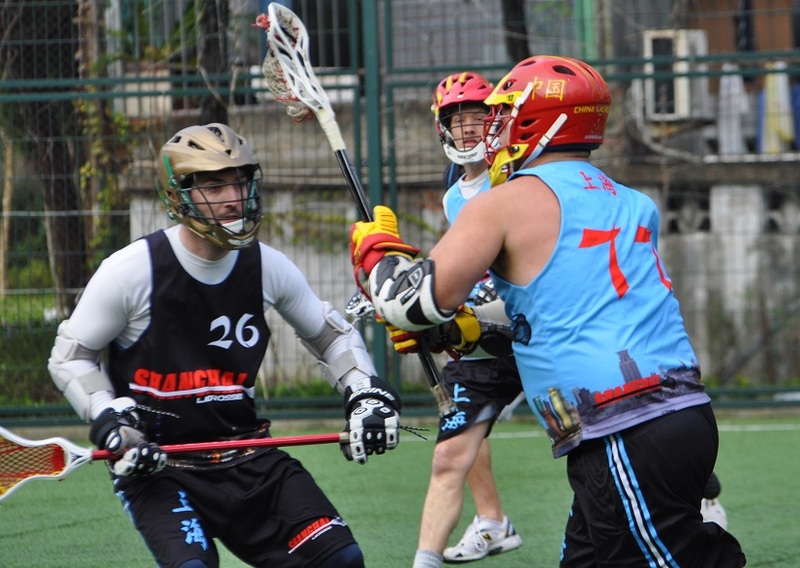 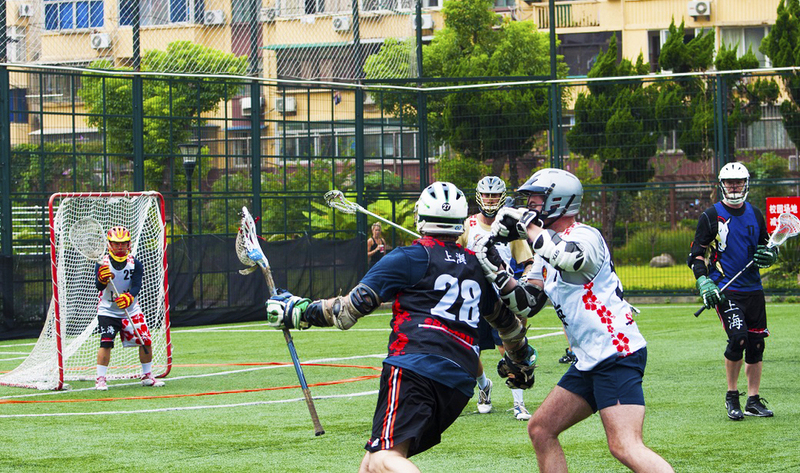 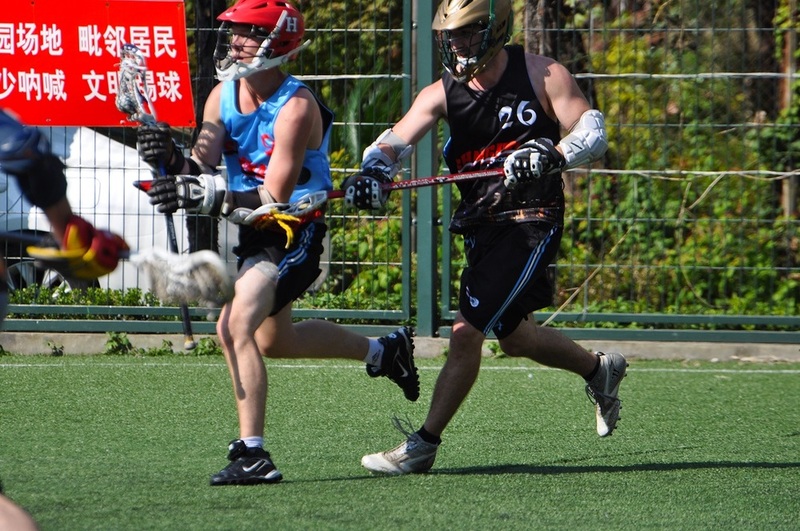 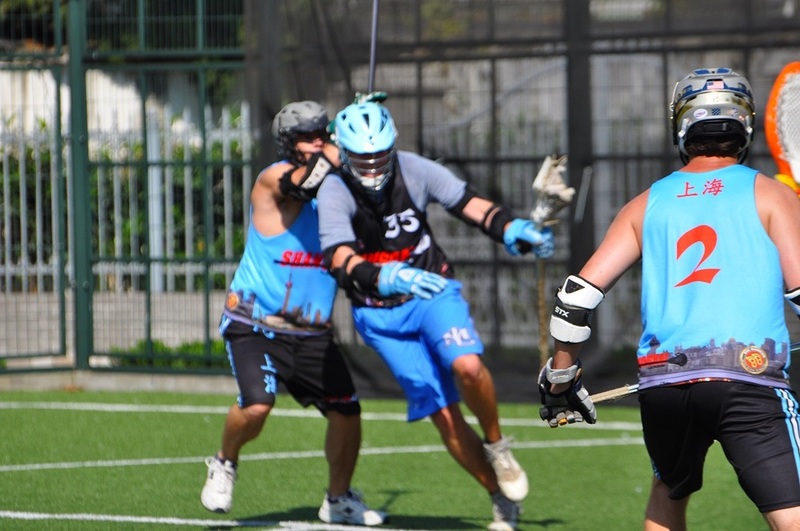 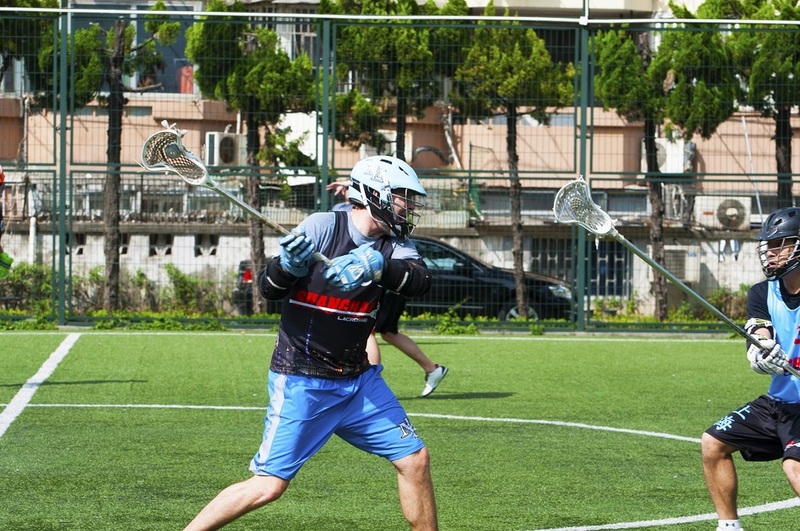 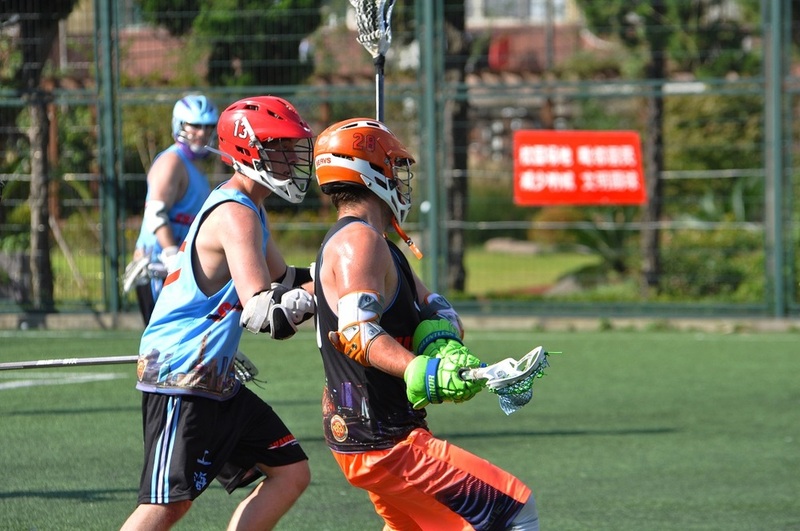 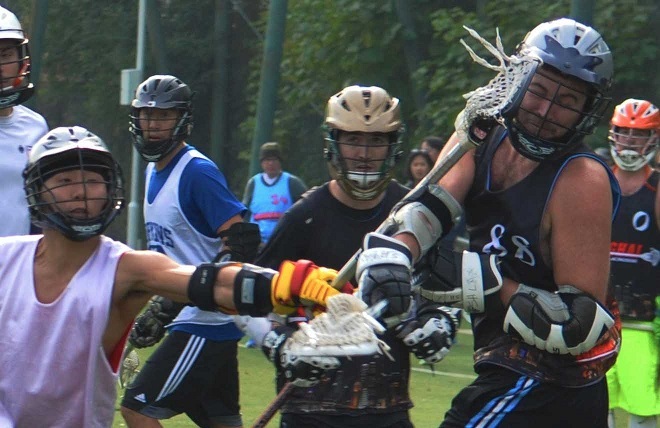 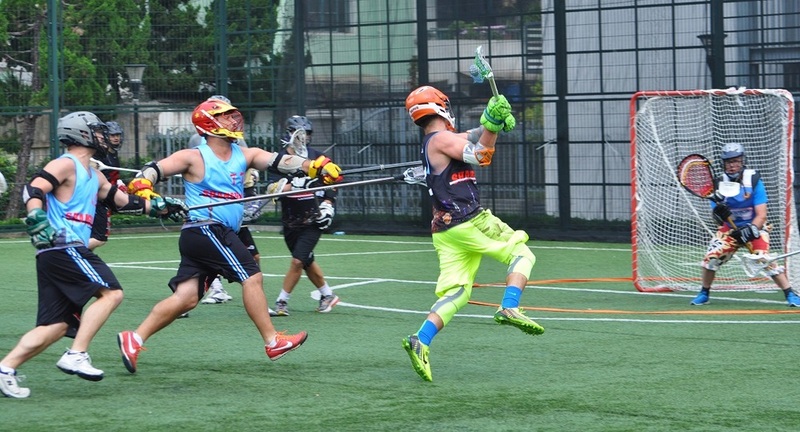 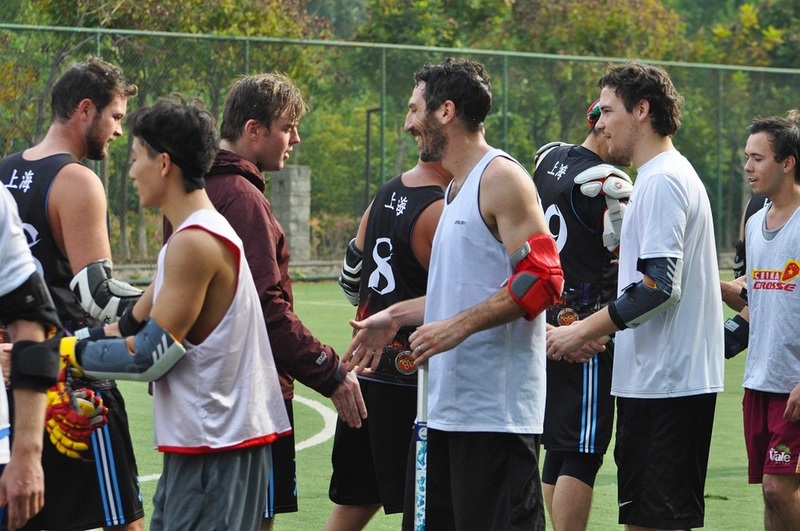 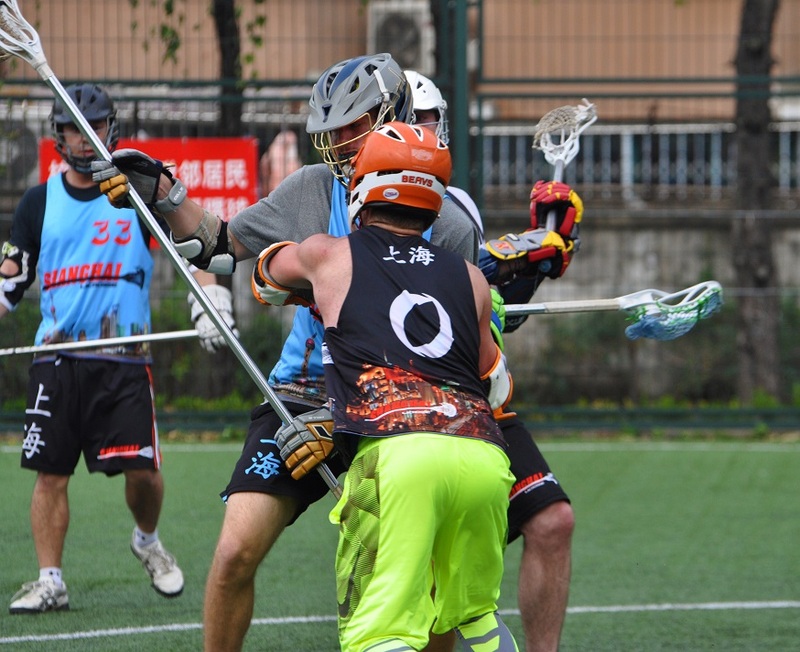 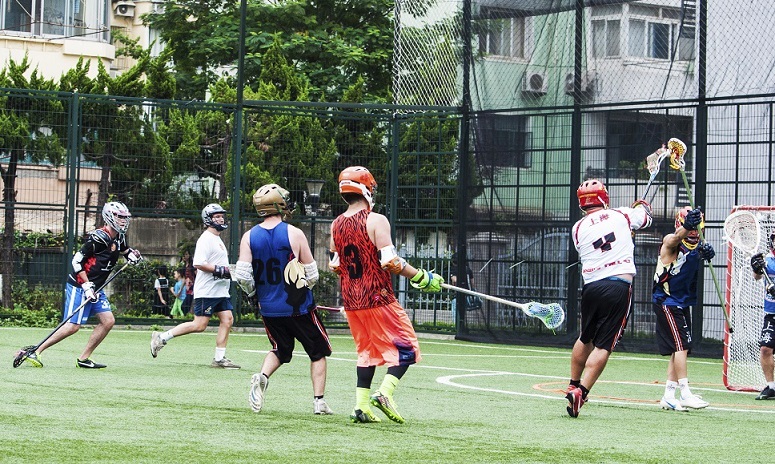 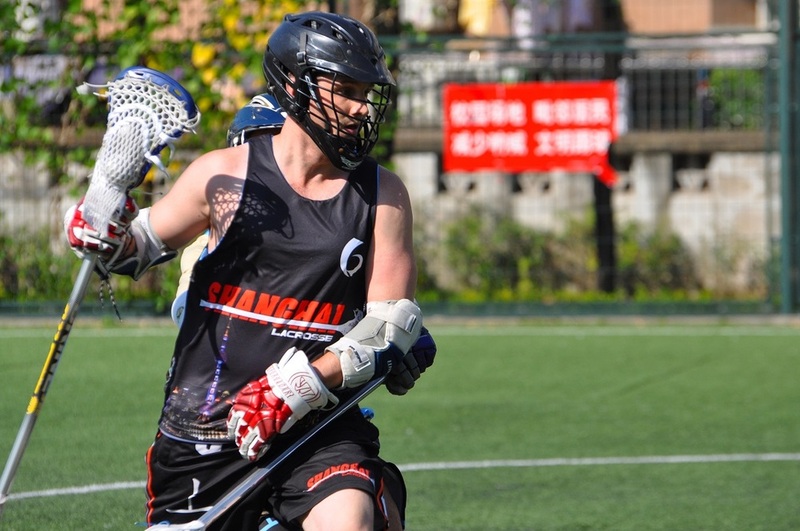 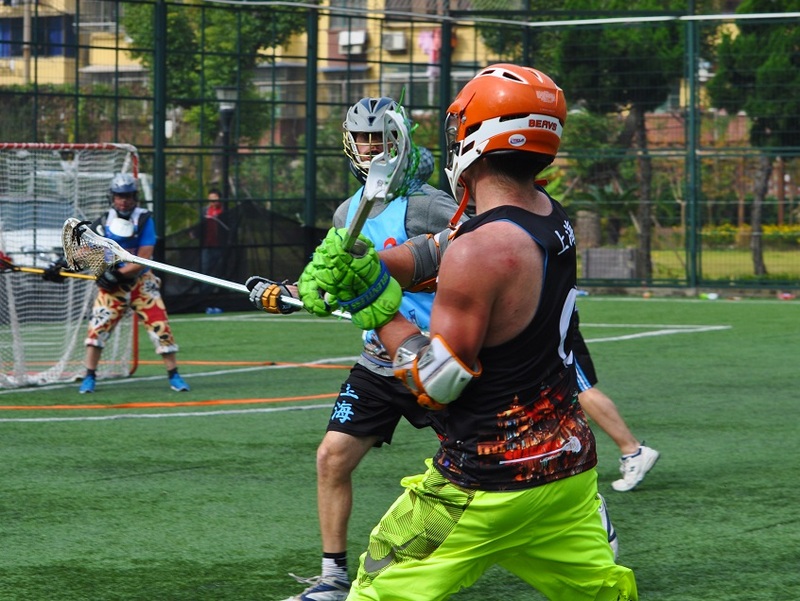 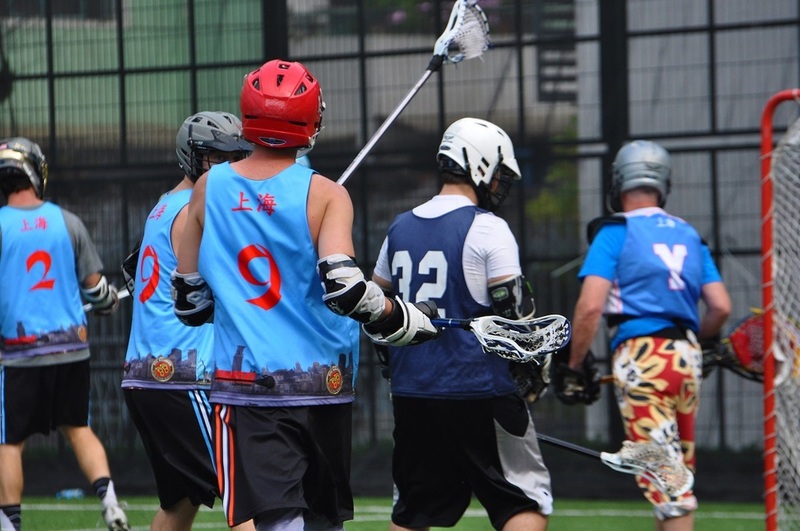 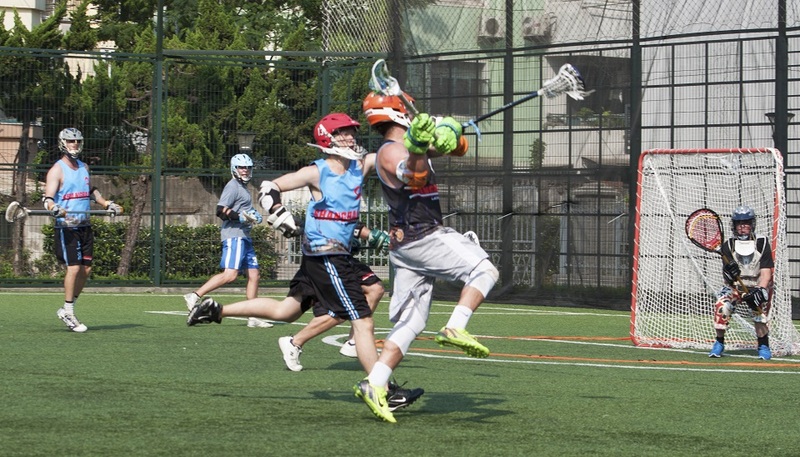 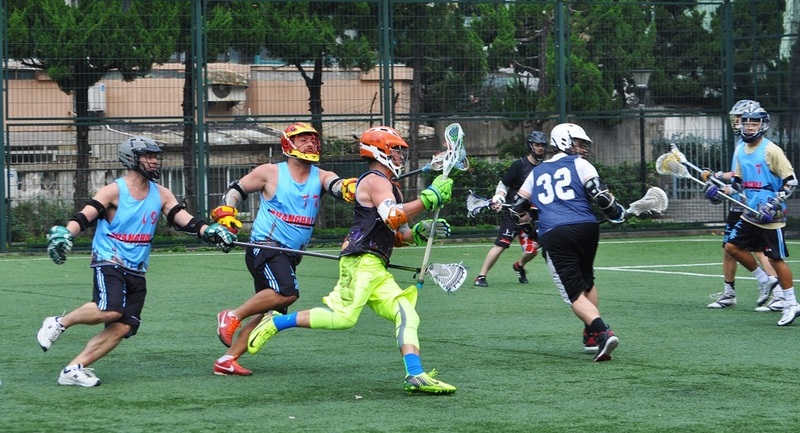 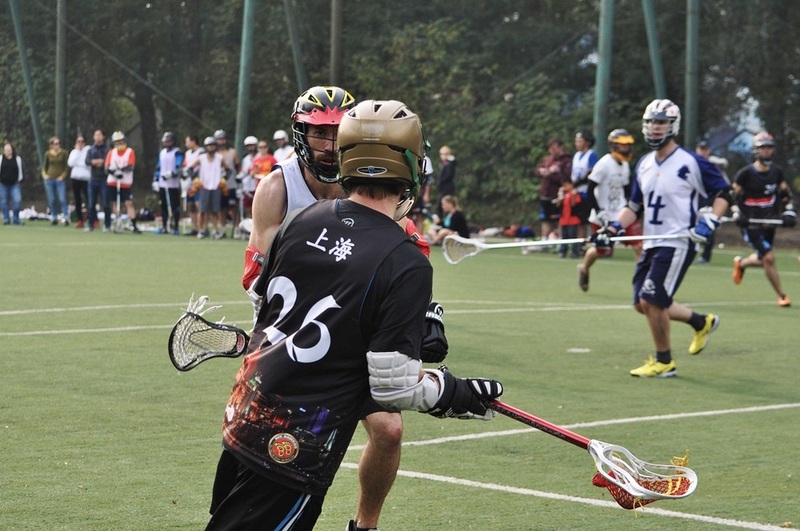 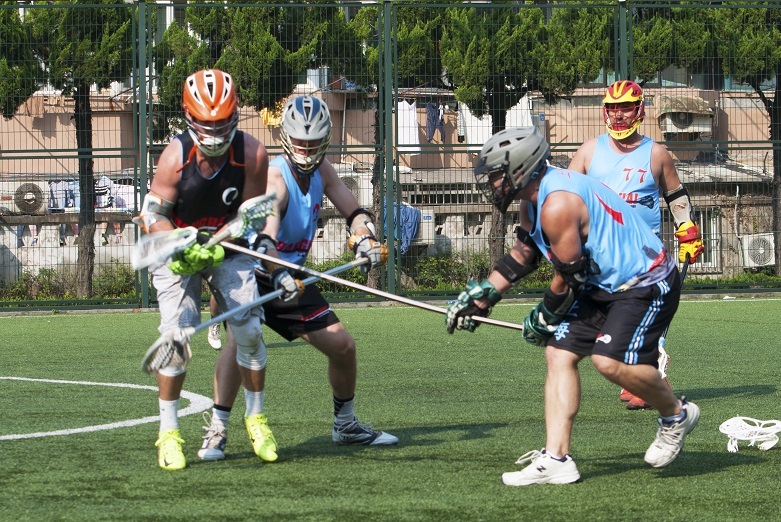 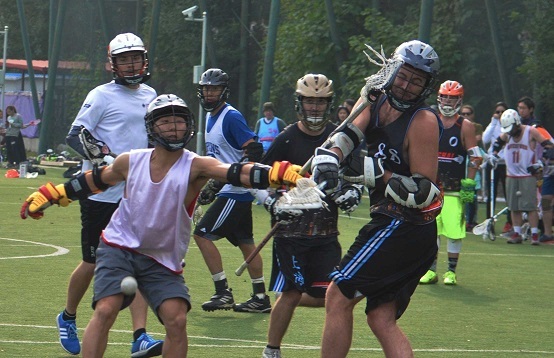 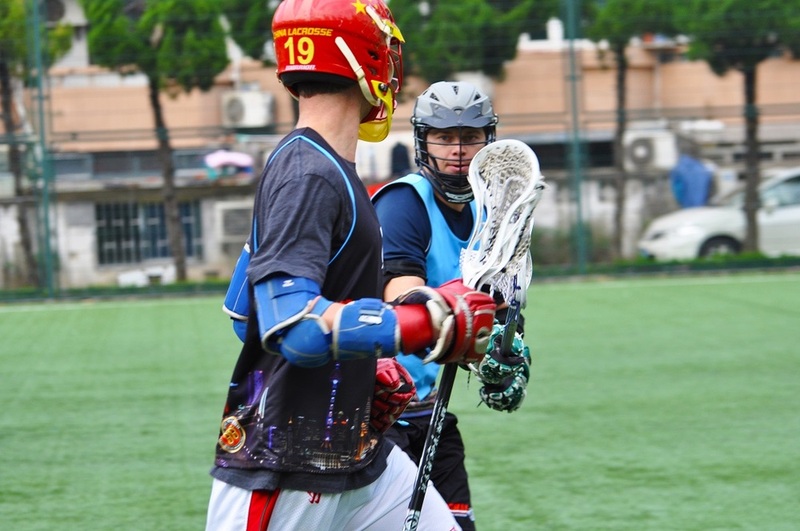 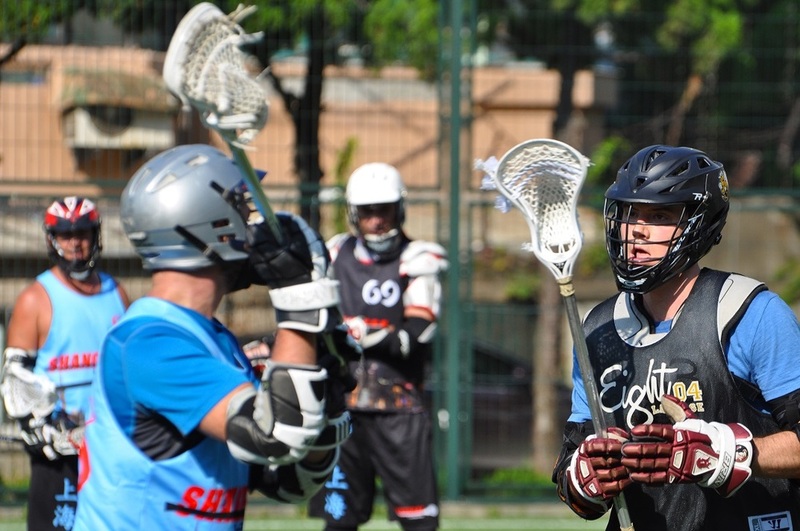 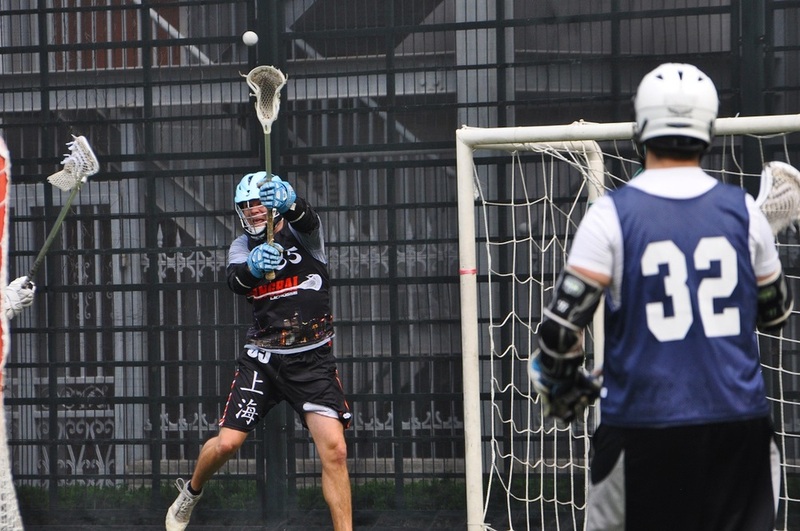 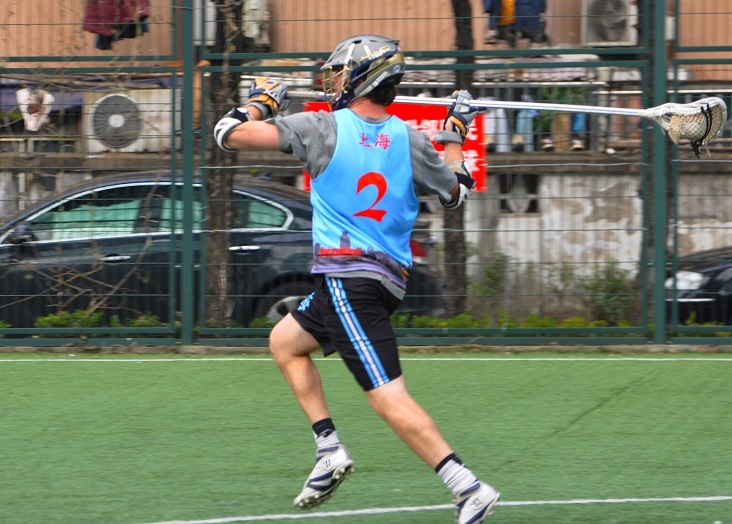 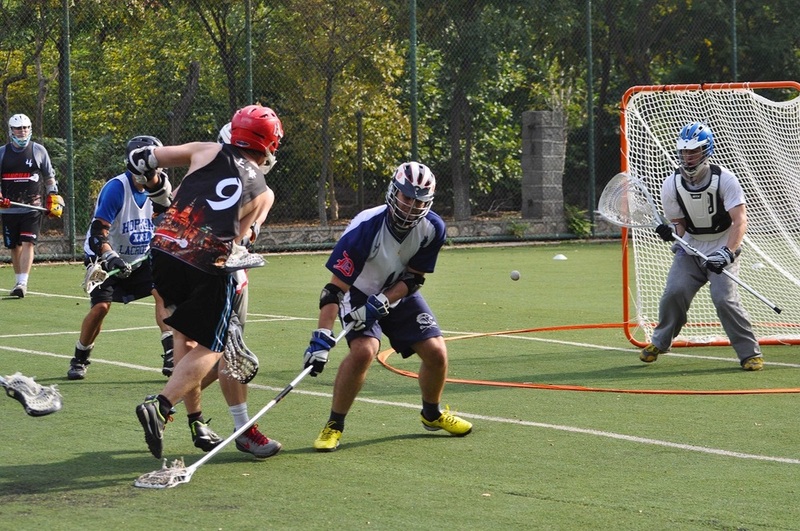 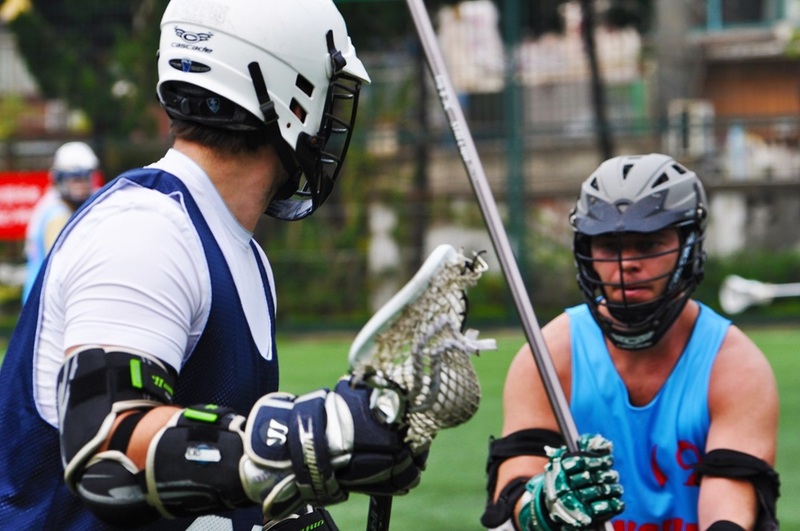 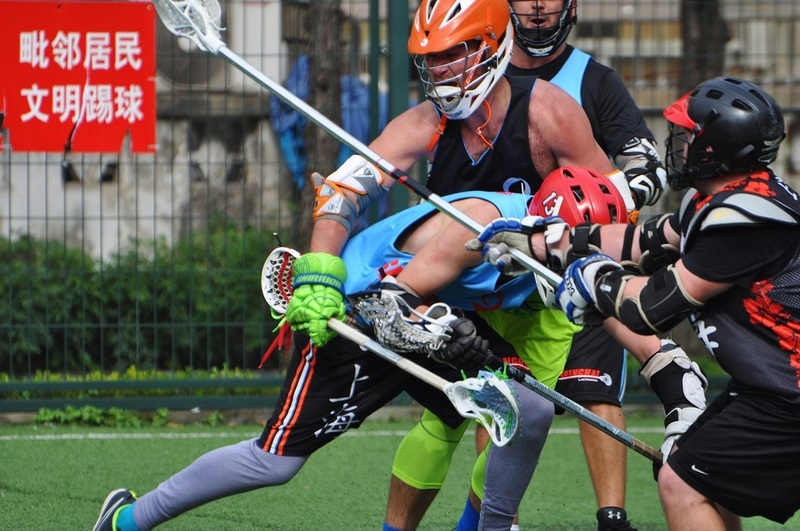 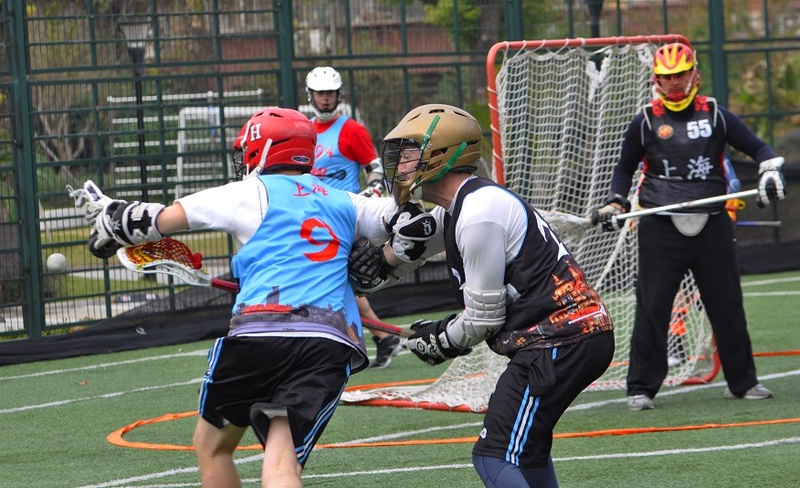 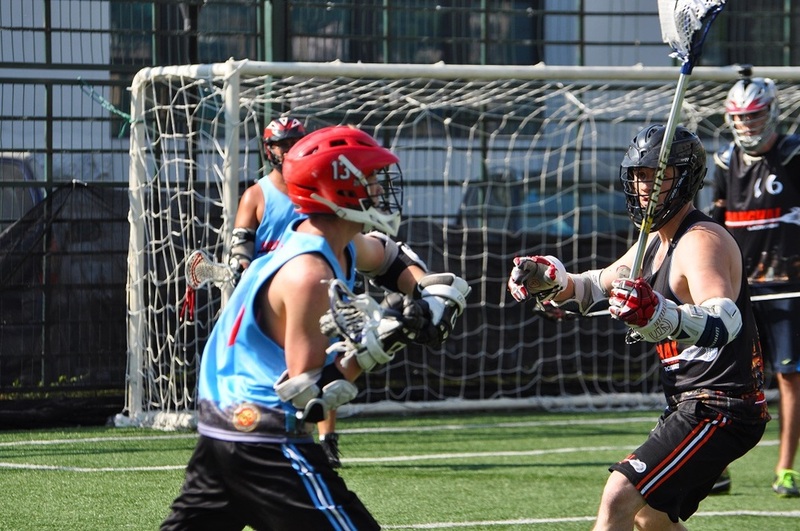 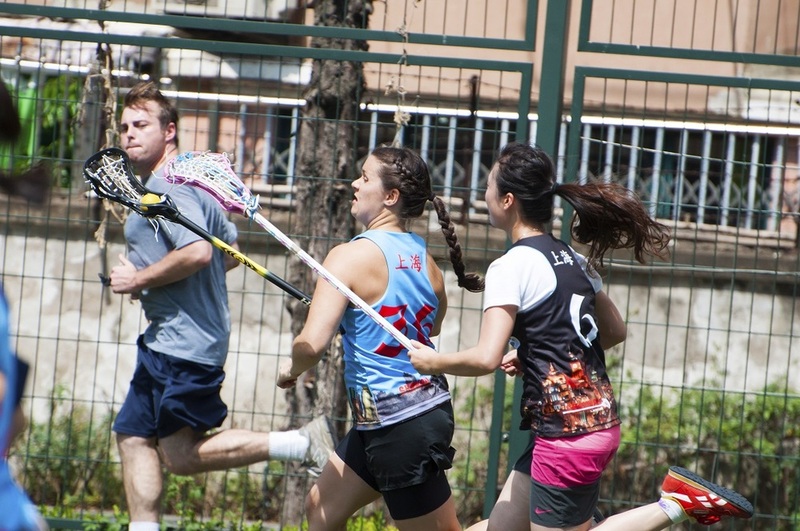 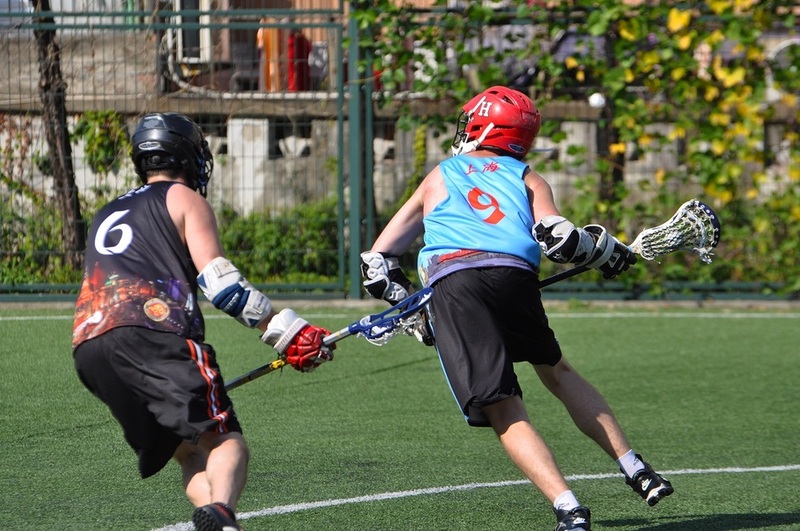 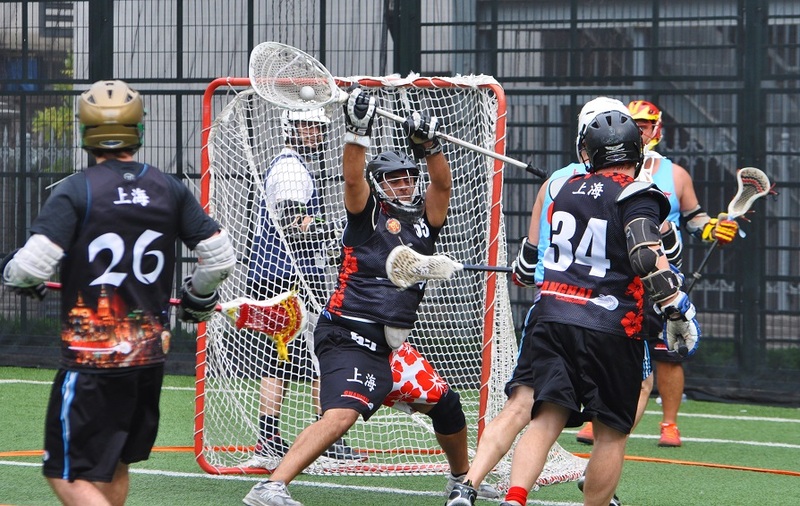 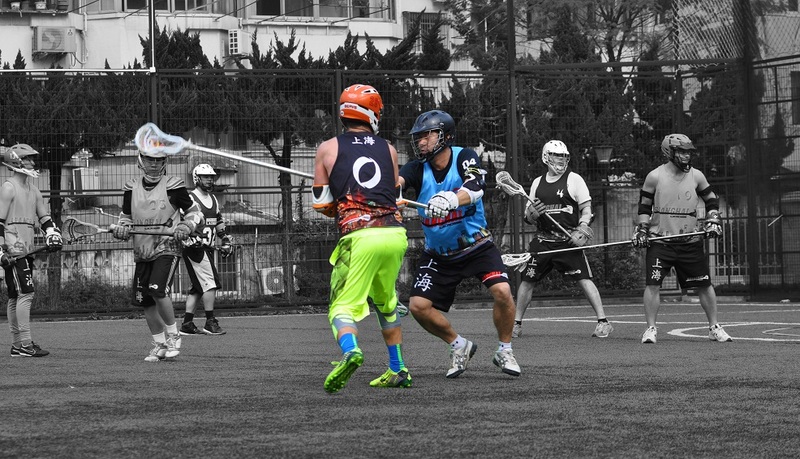 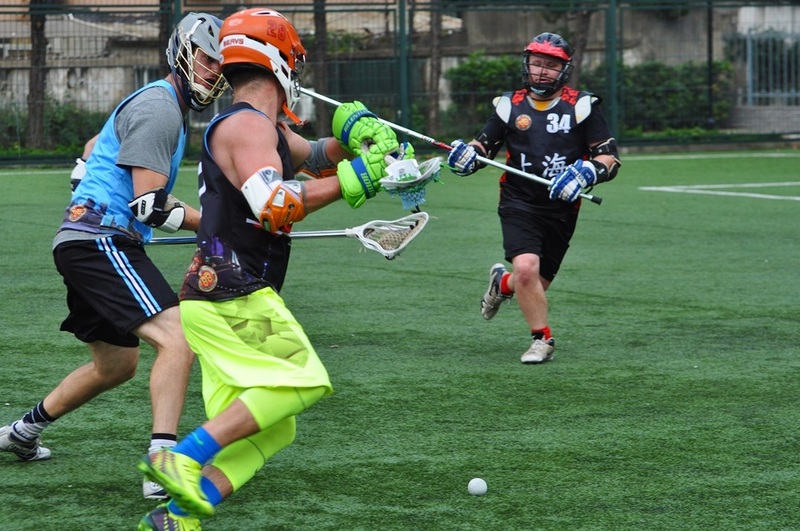 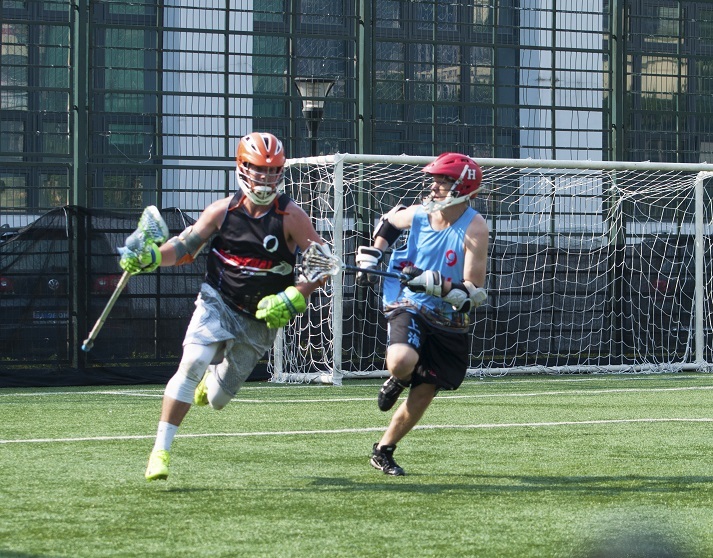 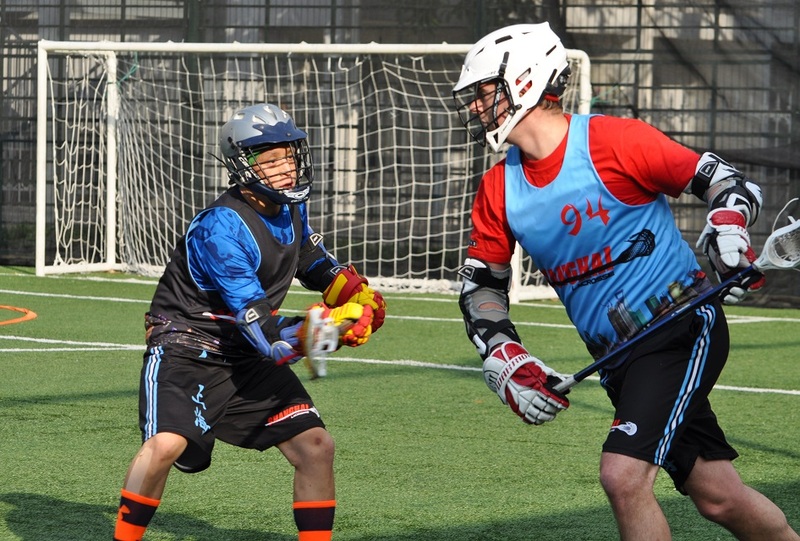 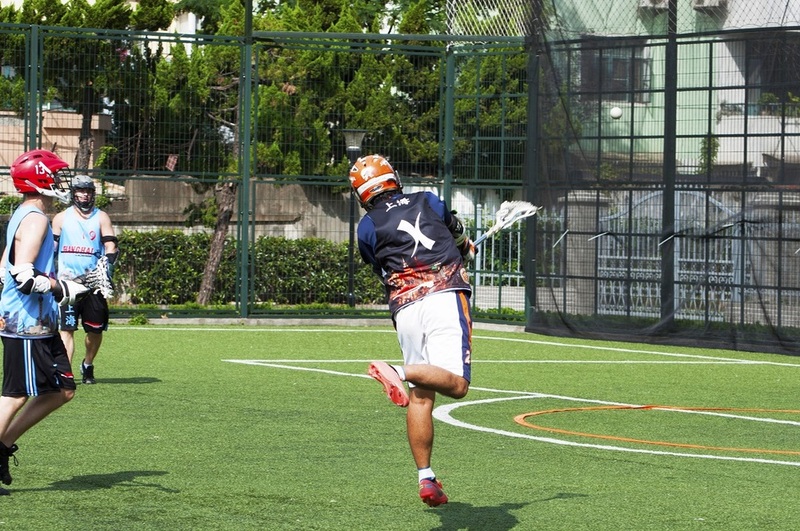 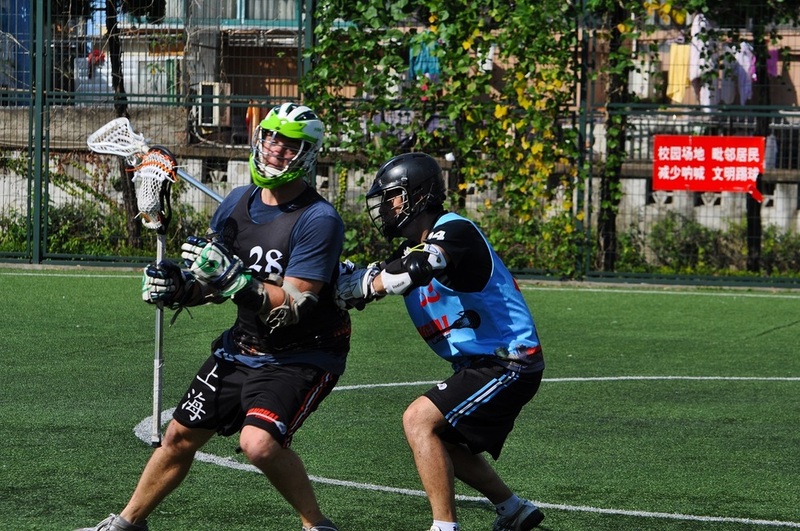 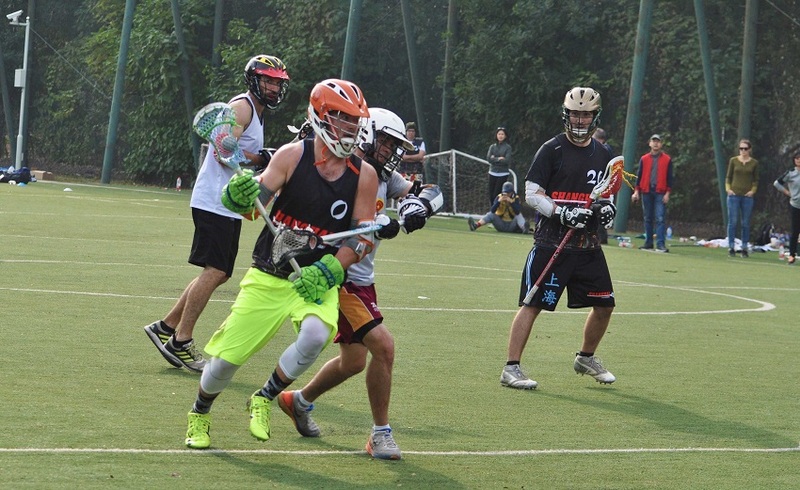 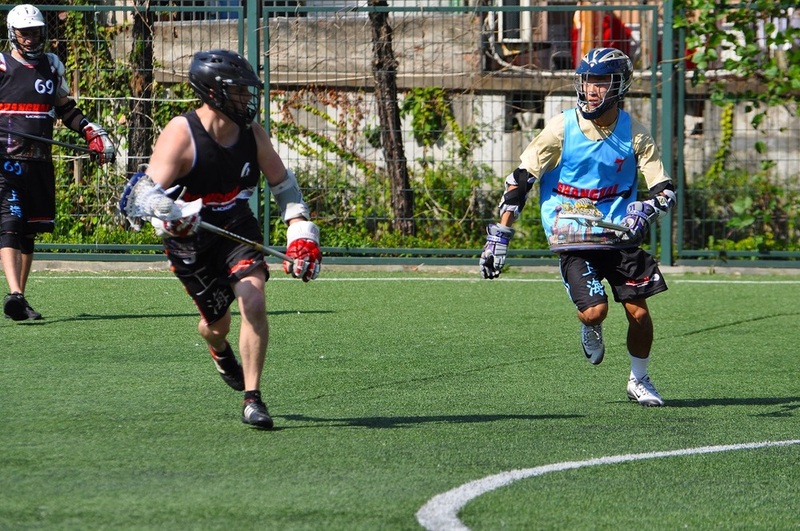 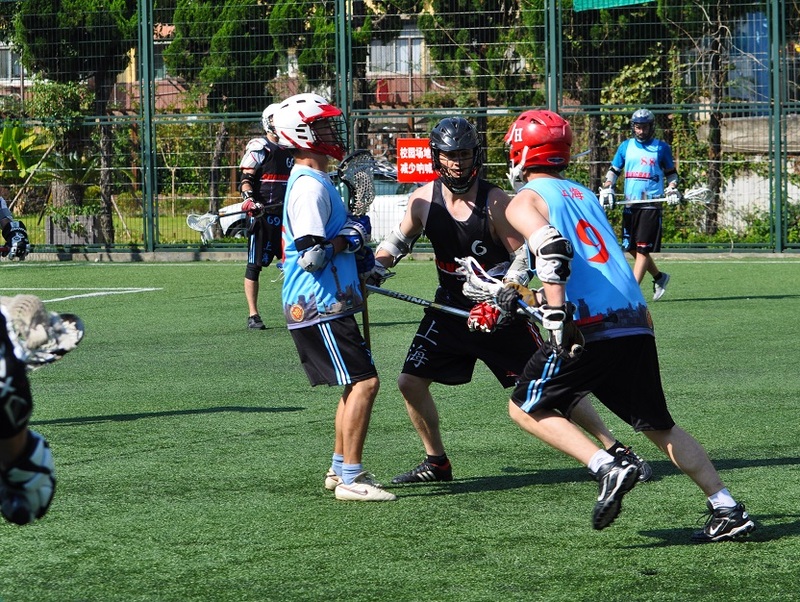 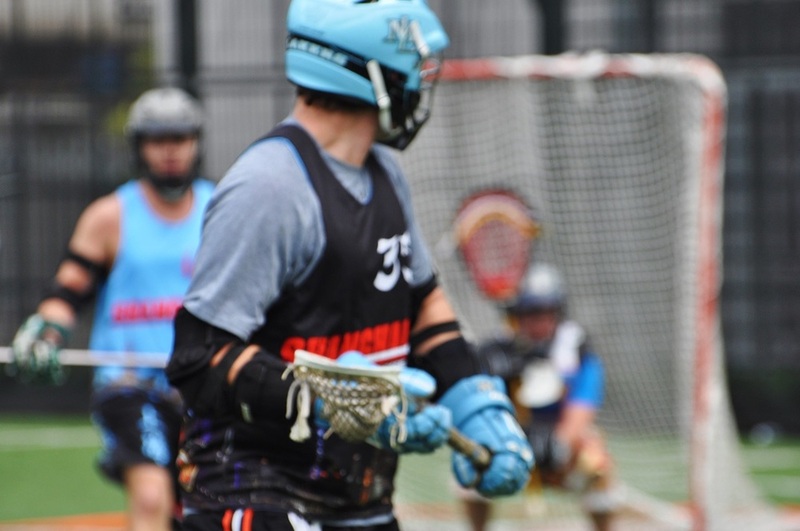 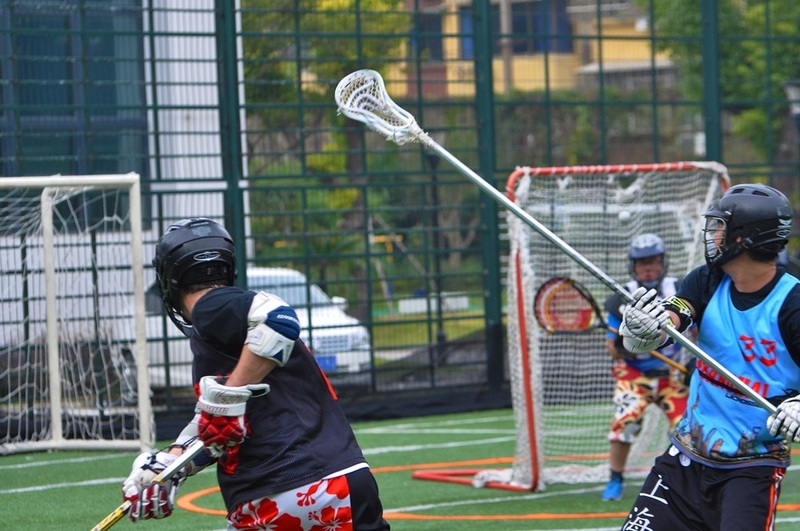 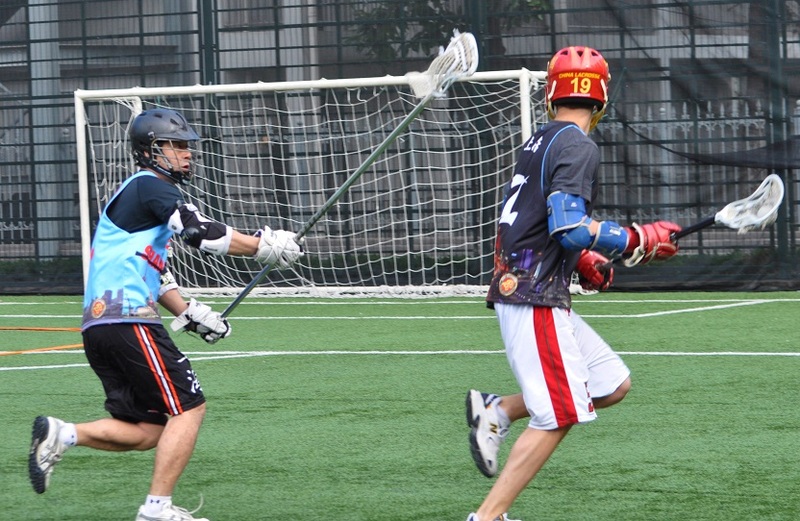 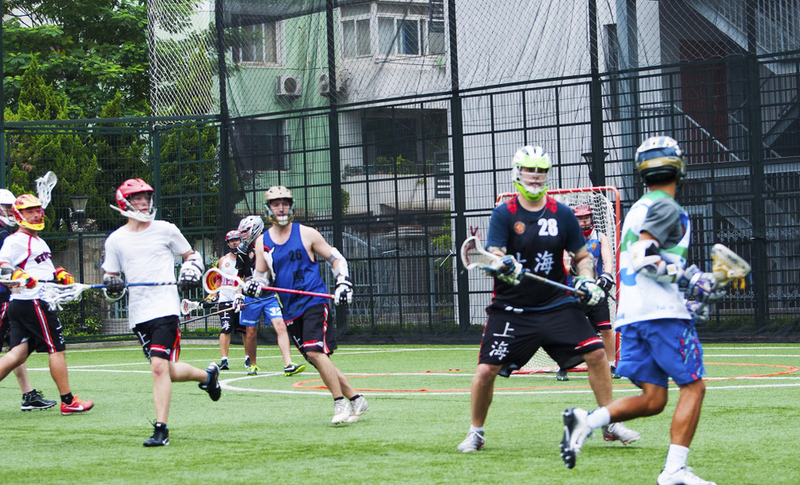 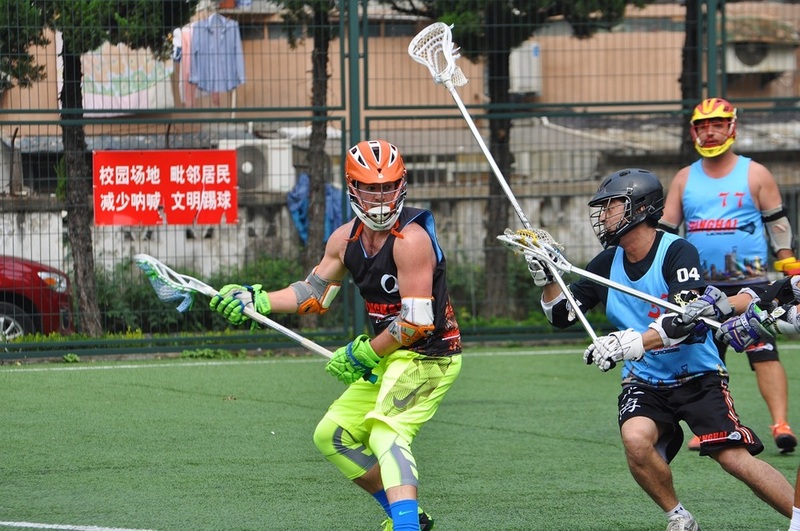 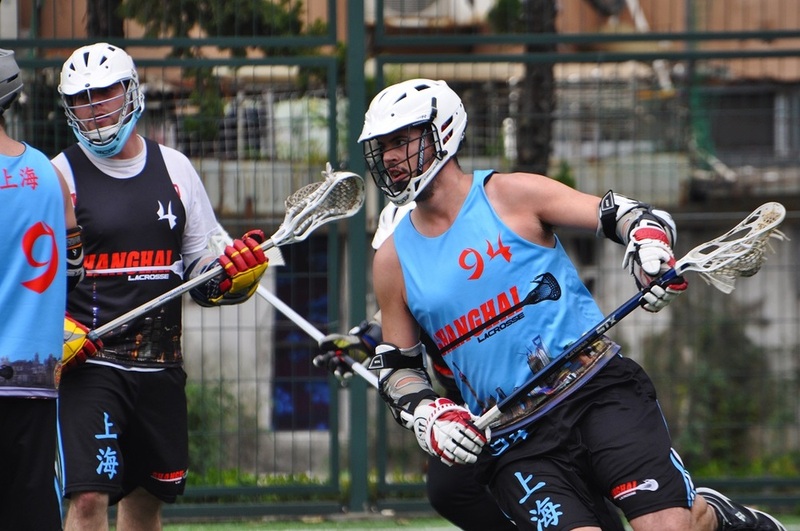 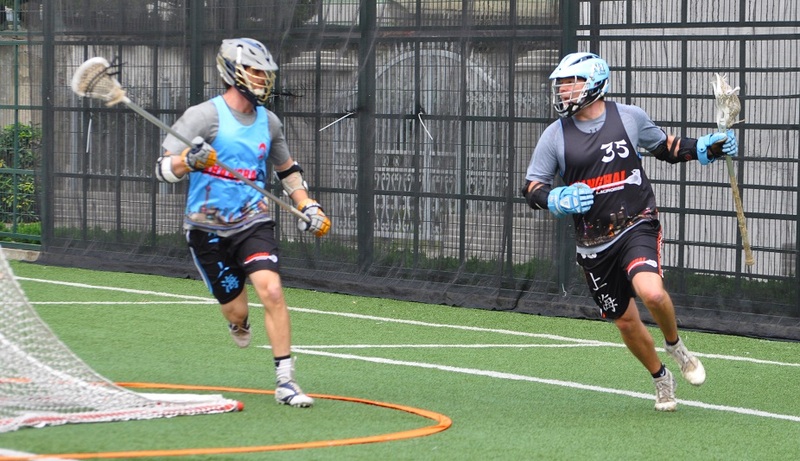 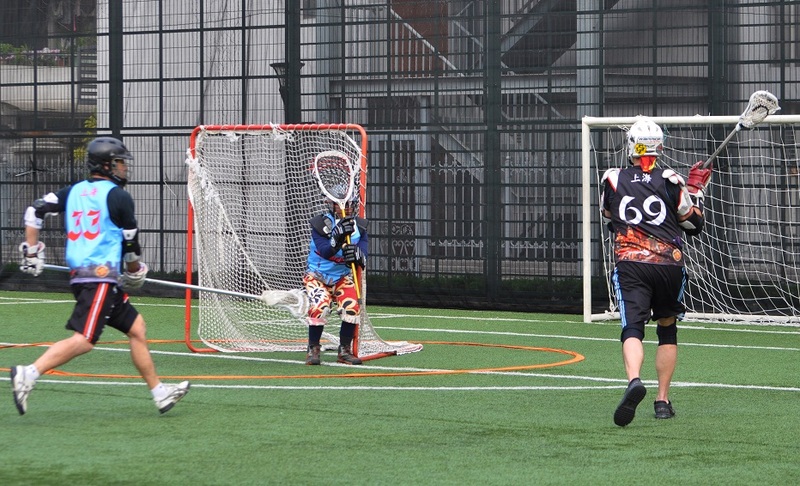 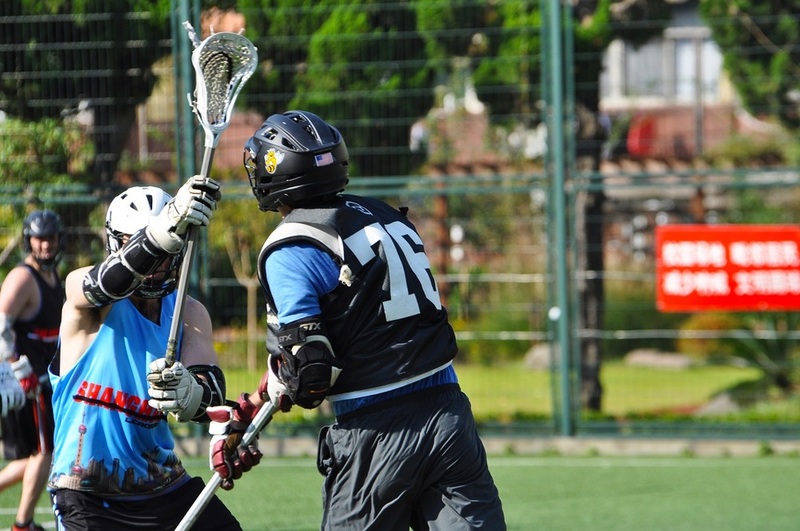 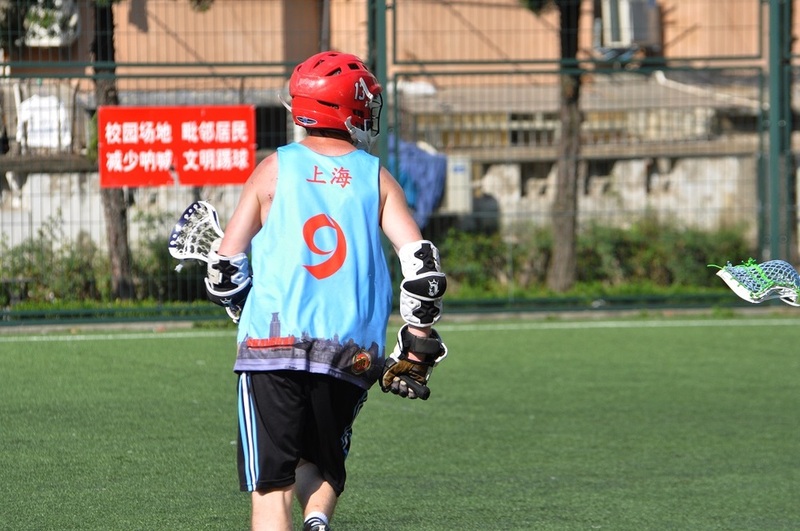 A storm came in from Nanjing this week as the Laxedos were stocked with all of their Nanjing players including one key player, Maguire Padley. 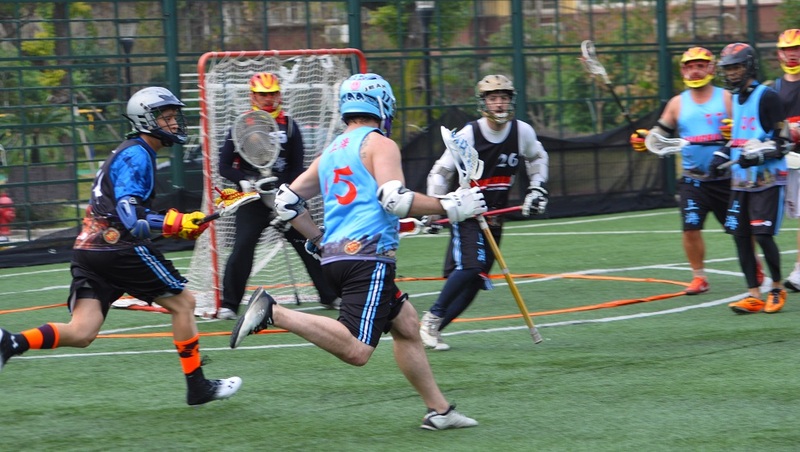 Maguire came in hot scoring five out of the first seven goals straight to the back of the net for the Laxedos. 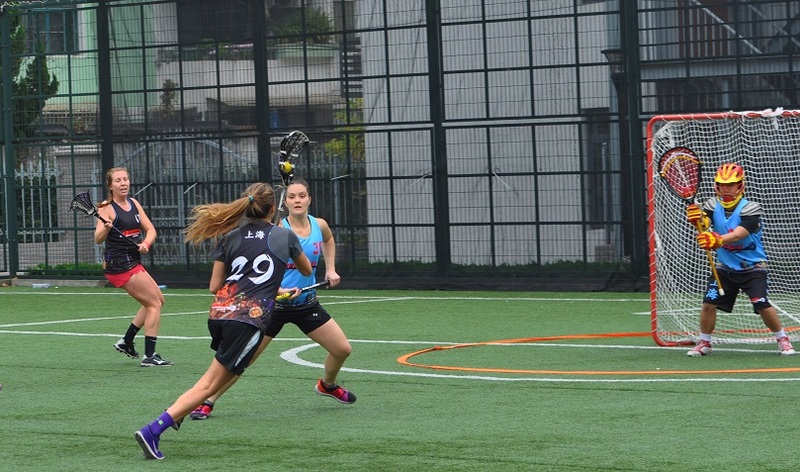 She finished strong with a total of six goals and one assist. 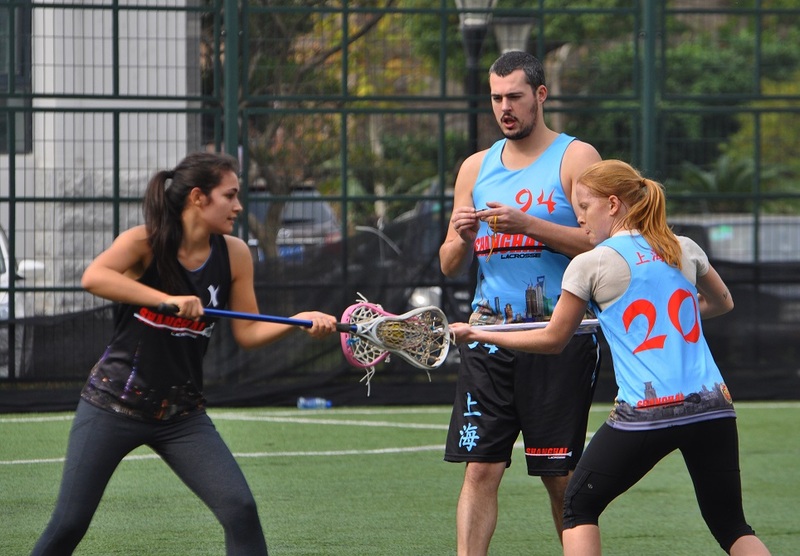 At halftime the Laxedos had the lead. 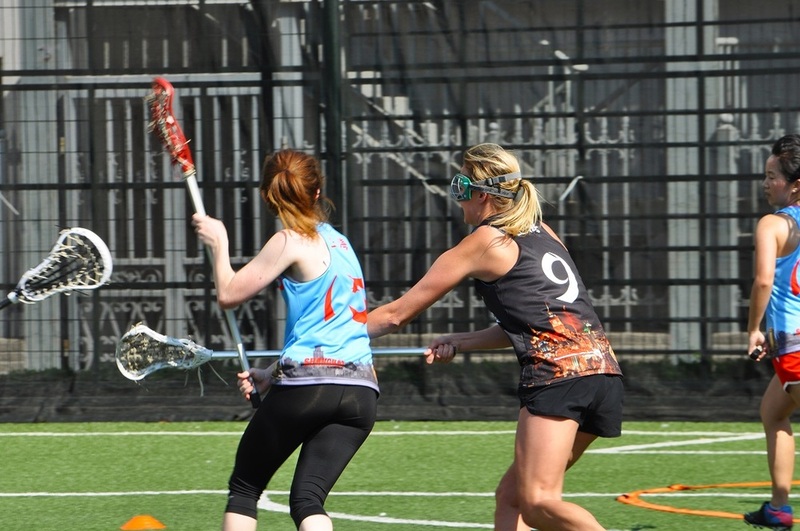 This impressive start didn't shake the Lumberlax though, Callie Stylianou came in hot as well matching Maguire's impressive run with six goals and one assist. 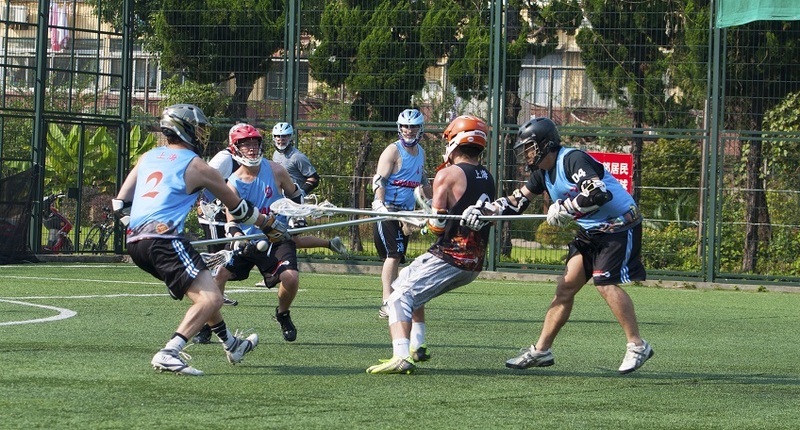 Both teams were putting up a good fight in this populated 7 vs 7 game. 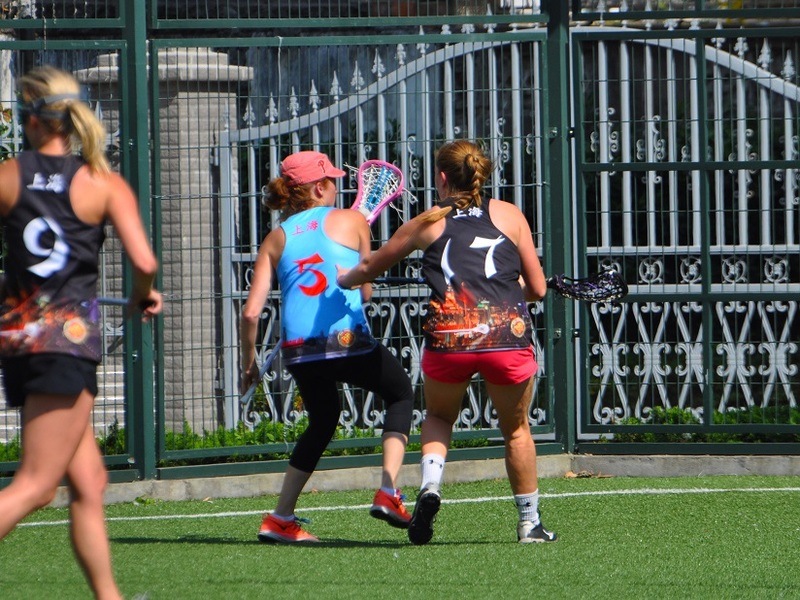 Morgan Banaszek from the Laxedos helped pull her team into the lead by scoring four goals throughout the game.The Laxedos won 13-9. 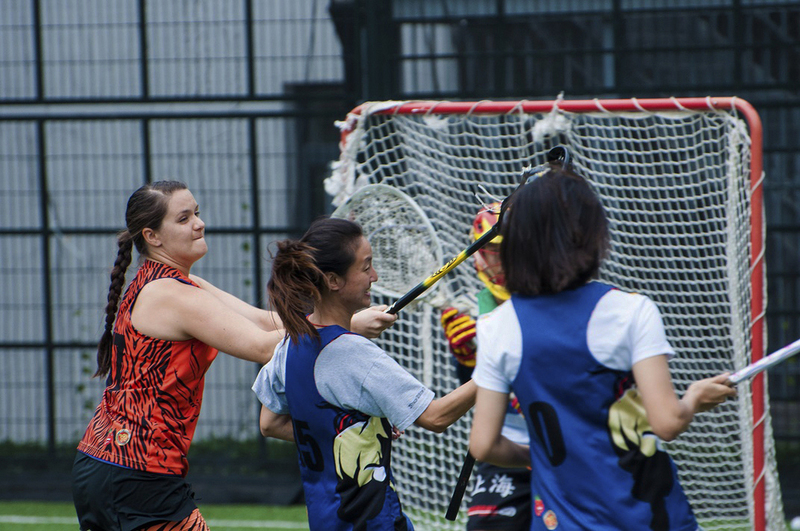 Other notable goal scoring players included Liao Qing, Suzanne Van Balveren, Sa Xue, Karly, and Pan Kewen. Get ready for Game 2 as the Lumberlax fight back while the Laxedos will continue to try and hold on to their victorious reign.